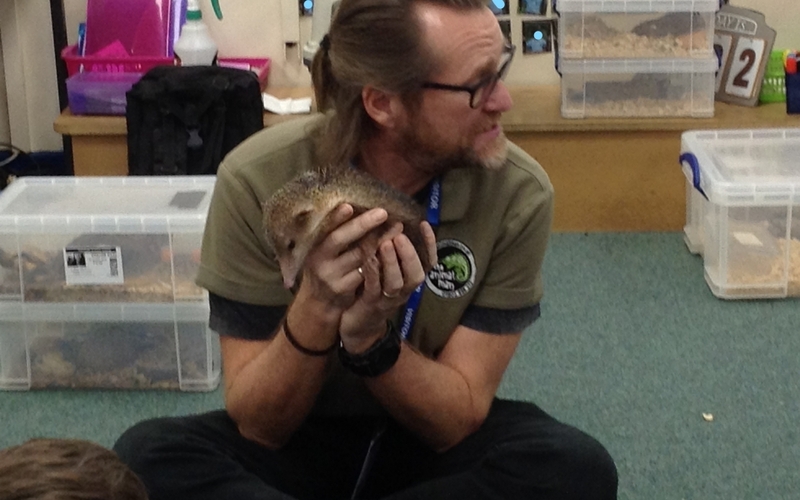 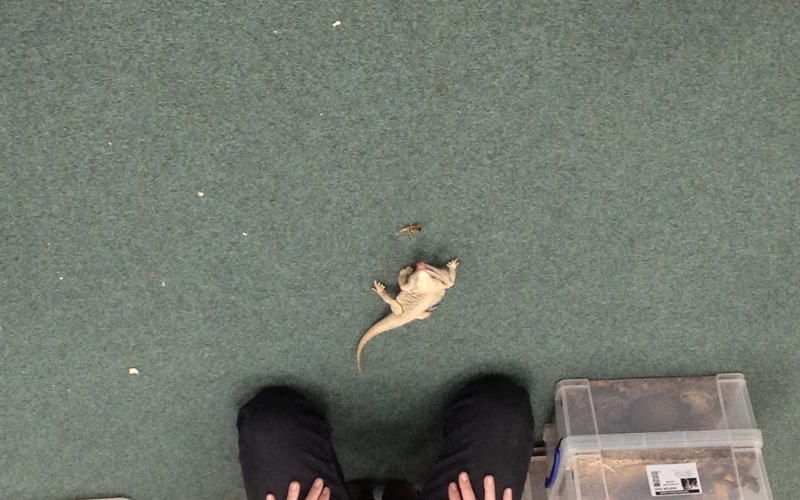 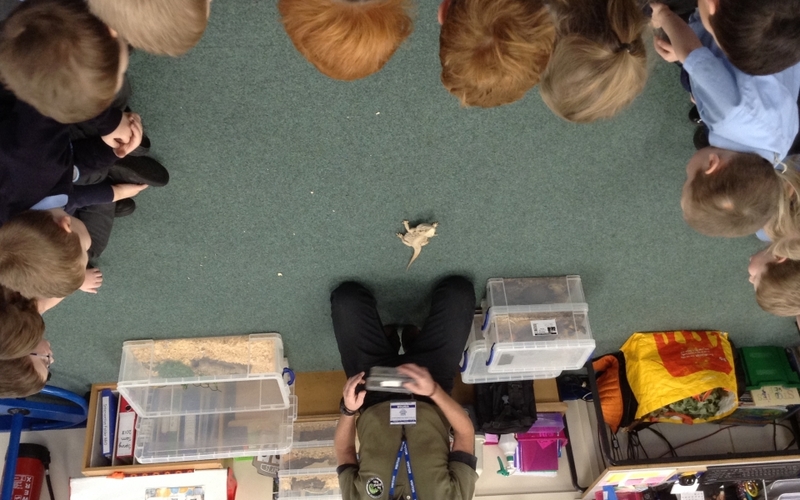 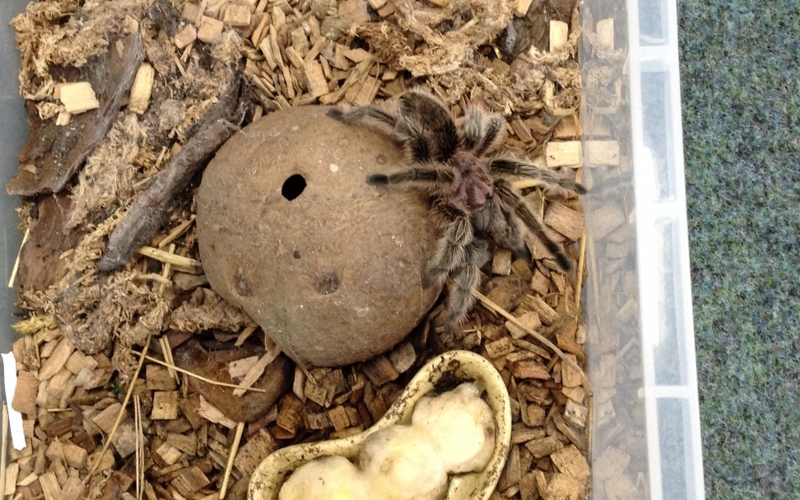 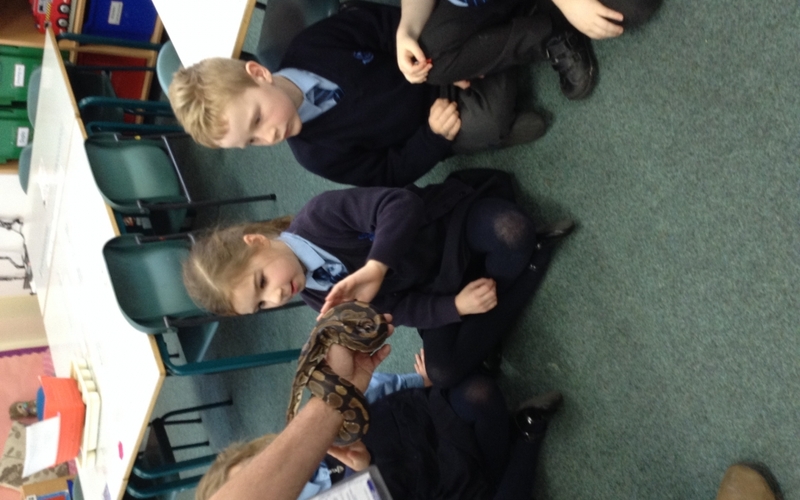 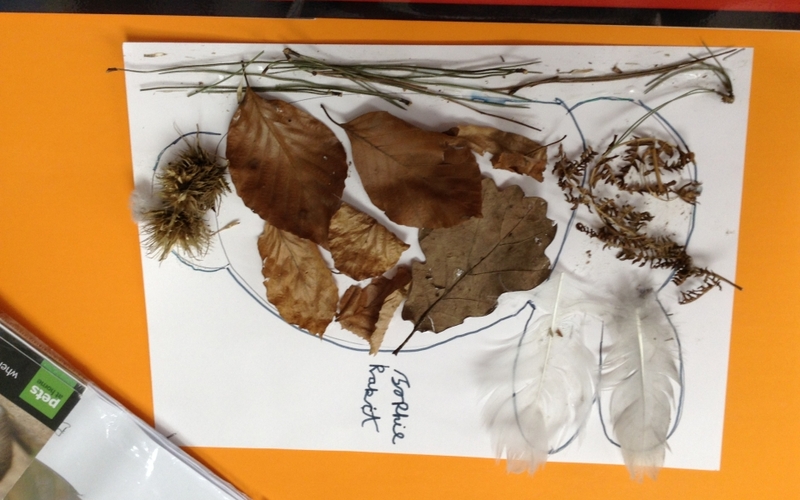 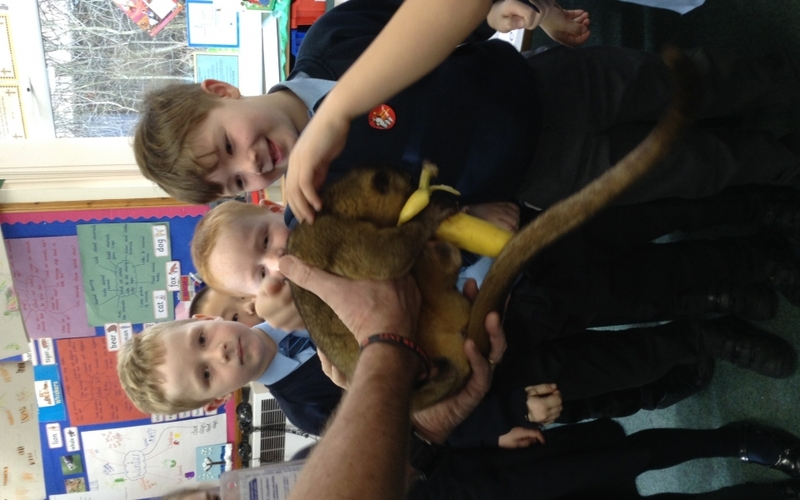 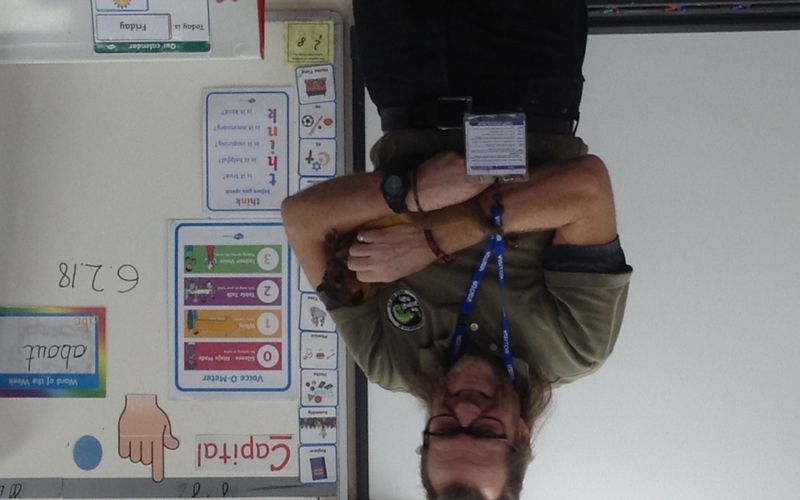 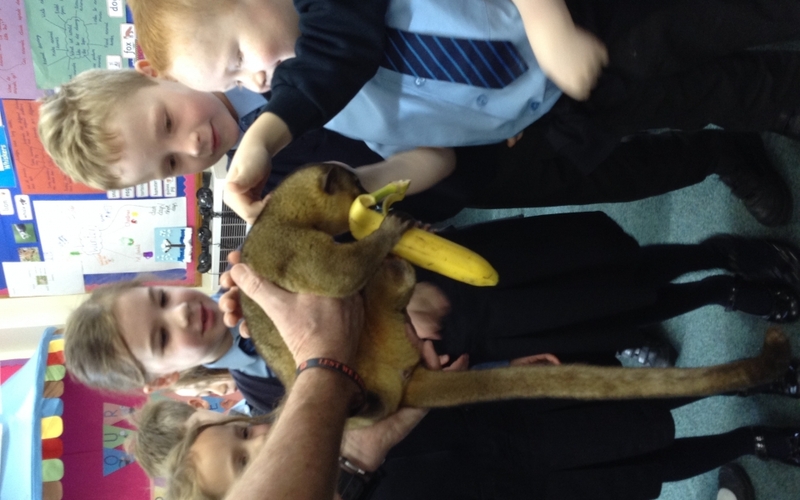 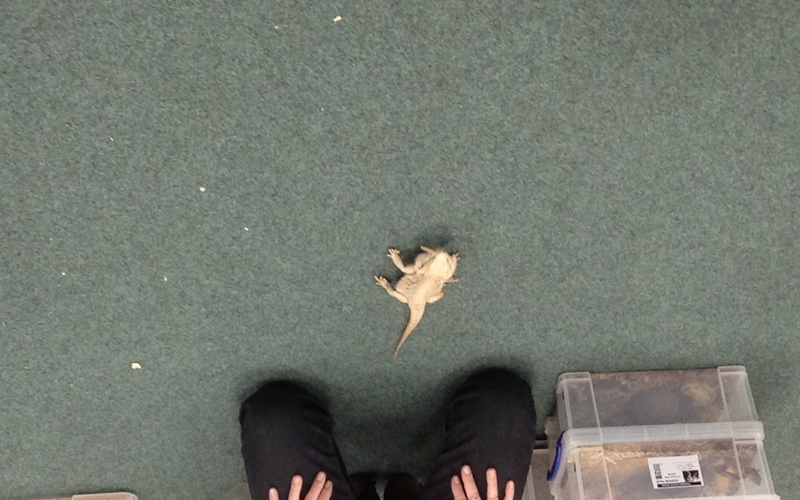 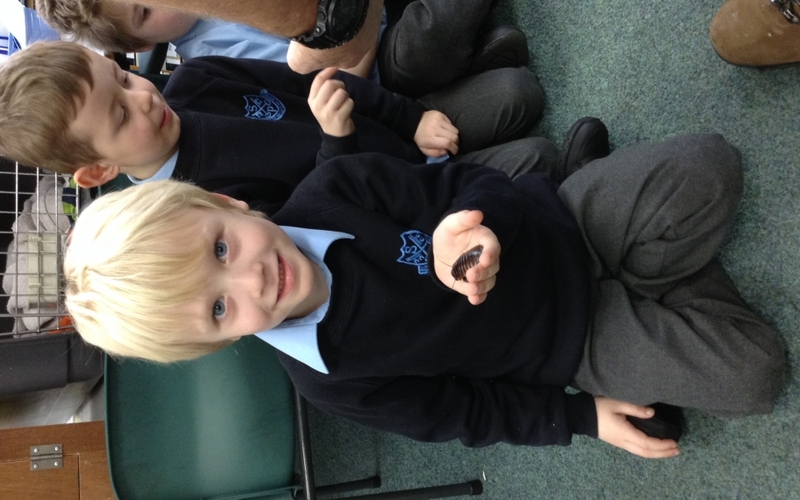 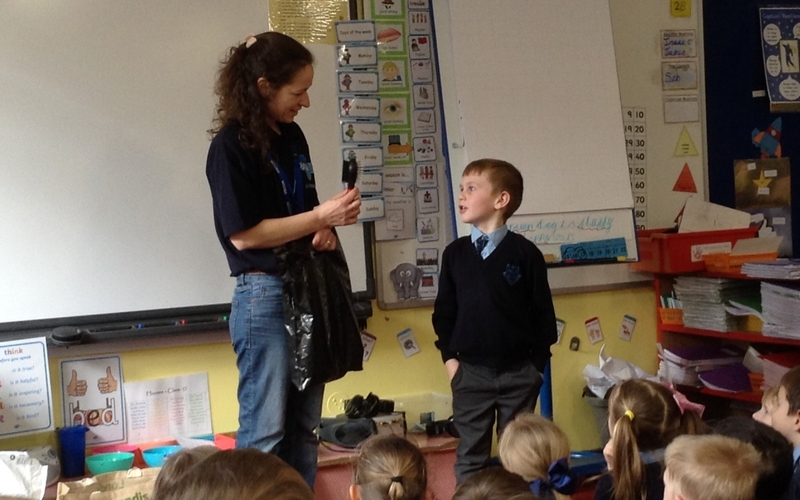 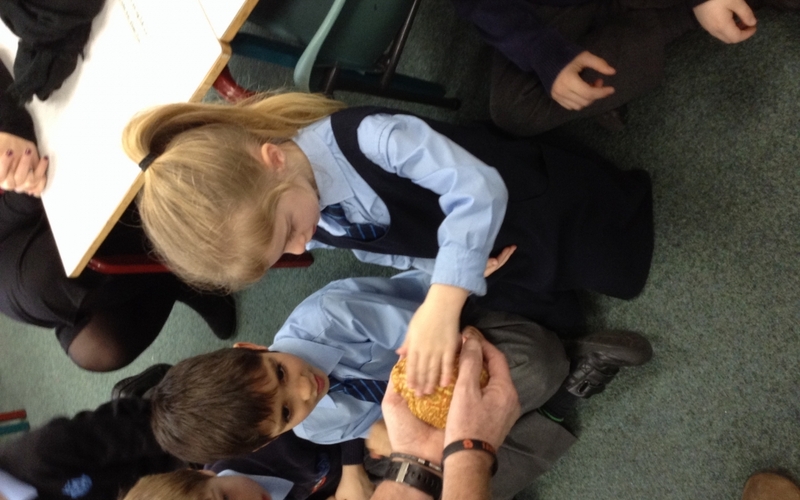 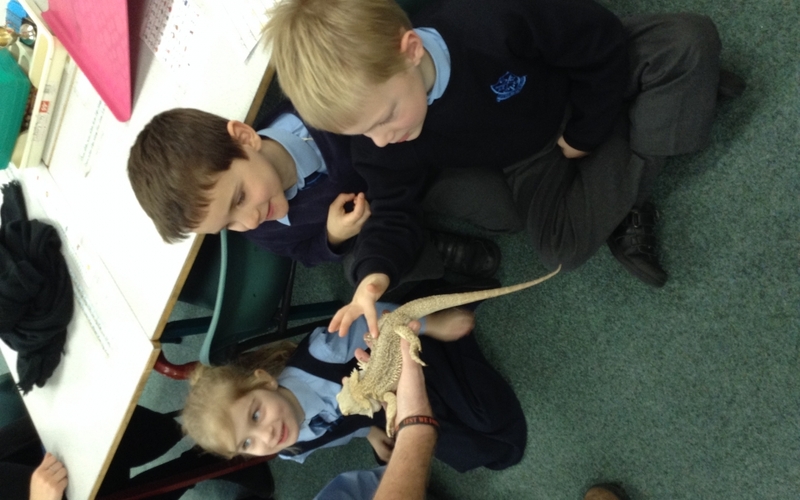 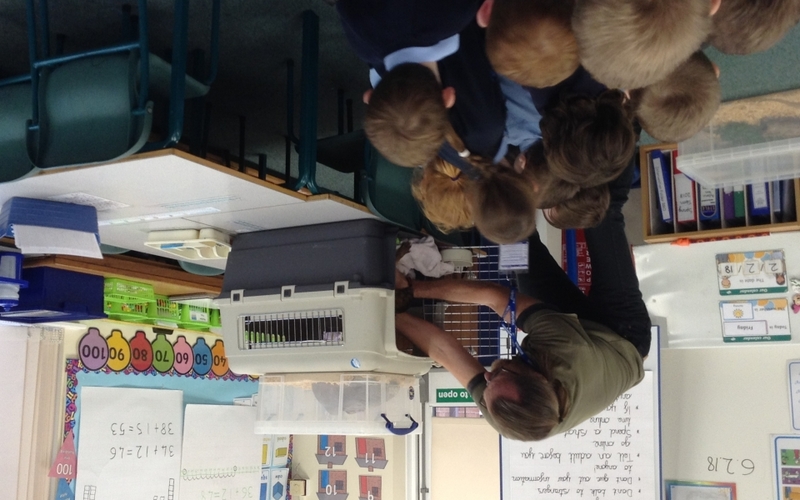 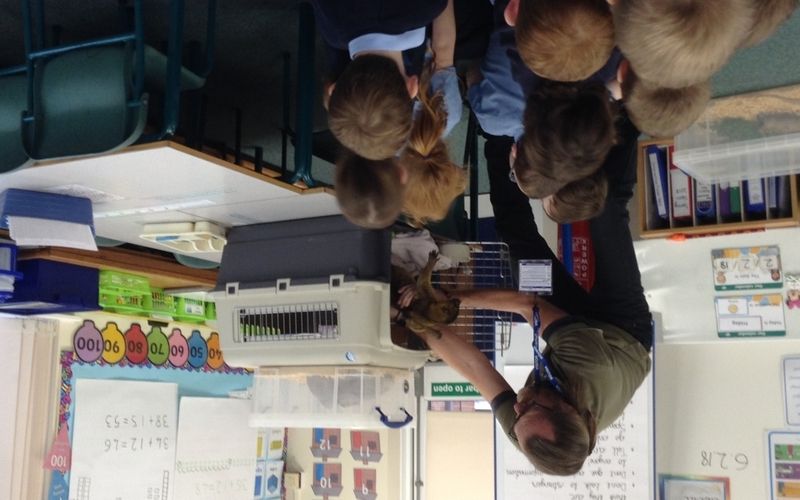 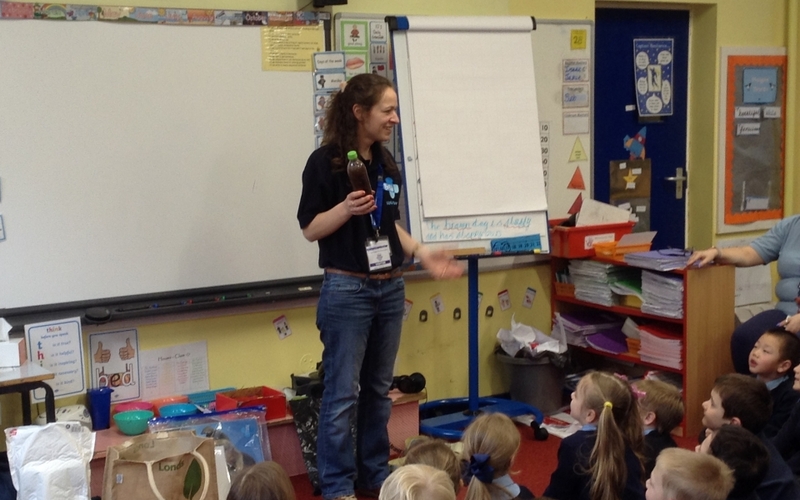 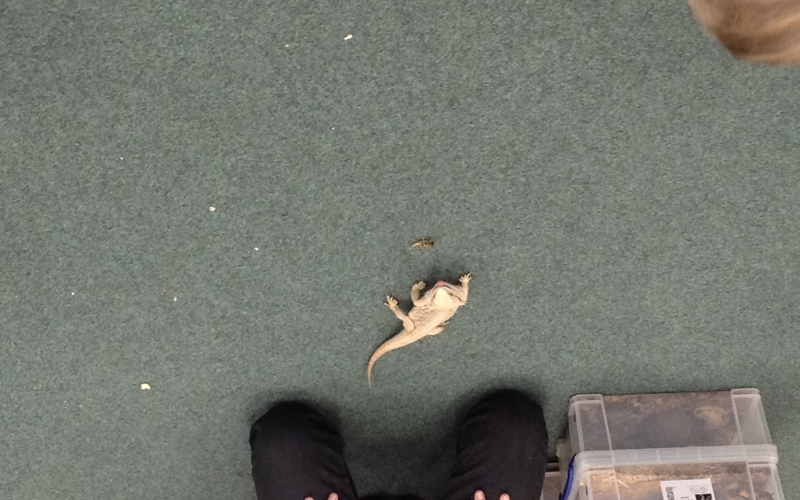 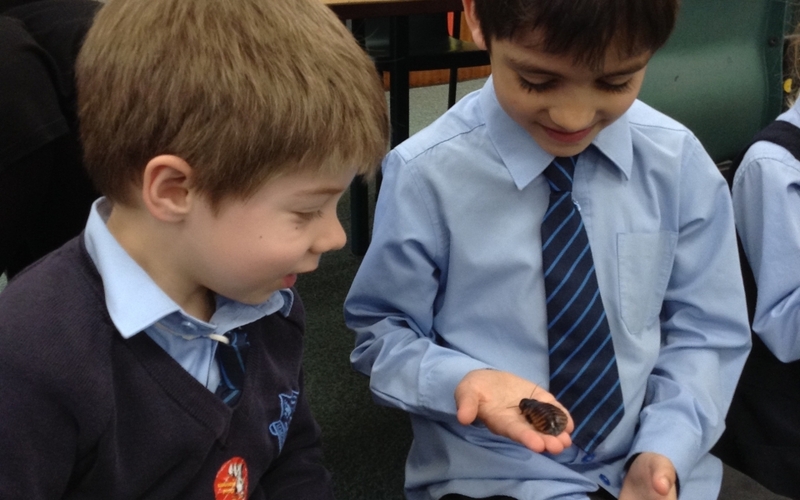 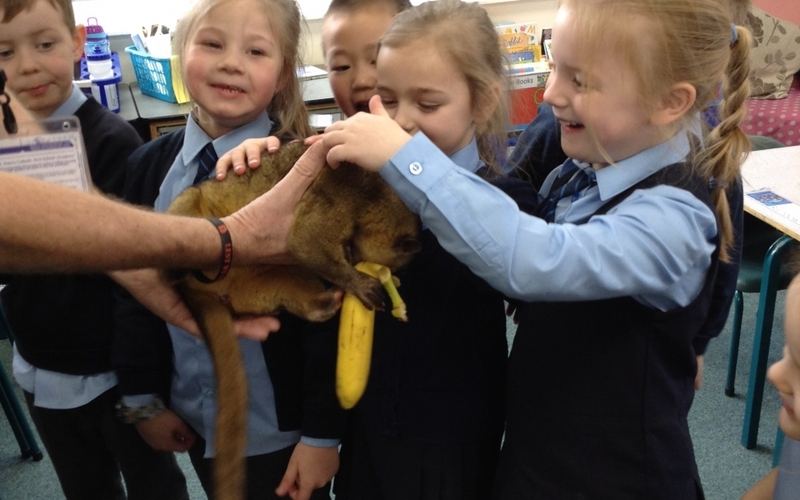 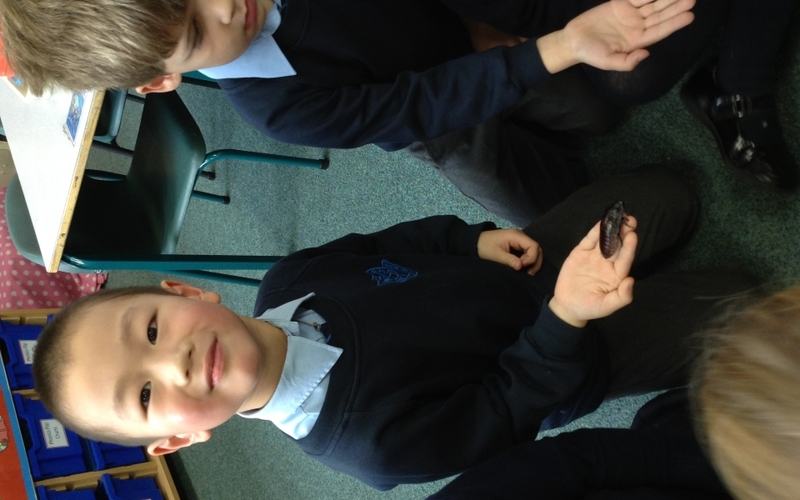 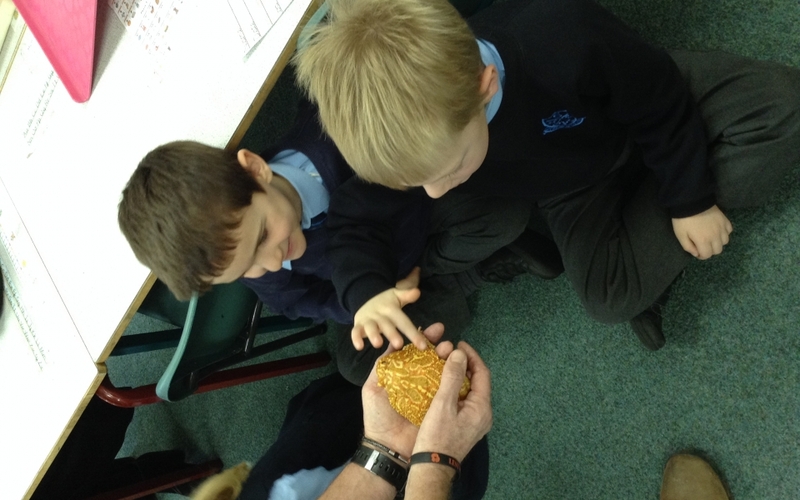 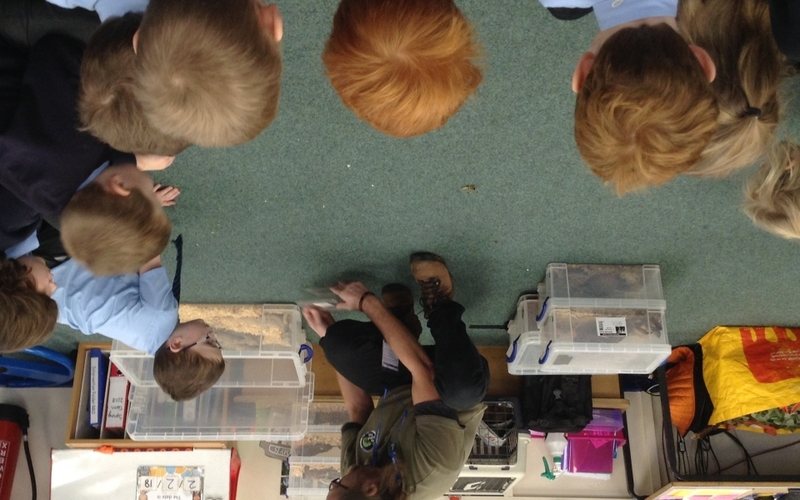 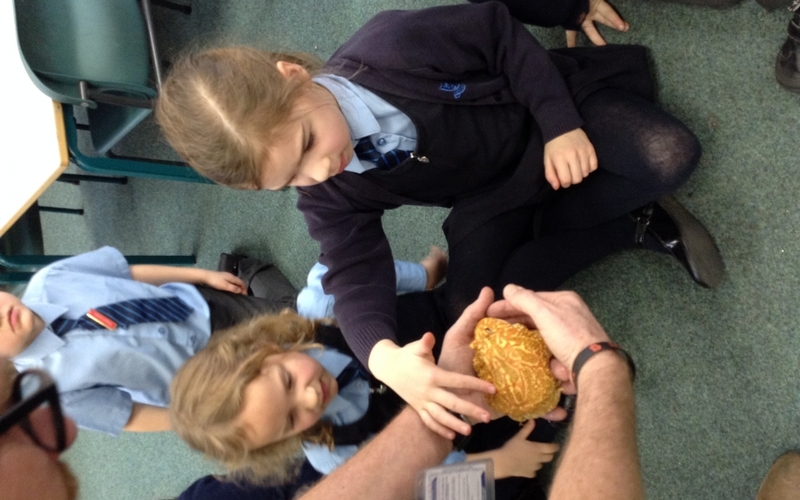 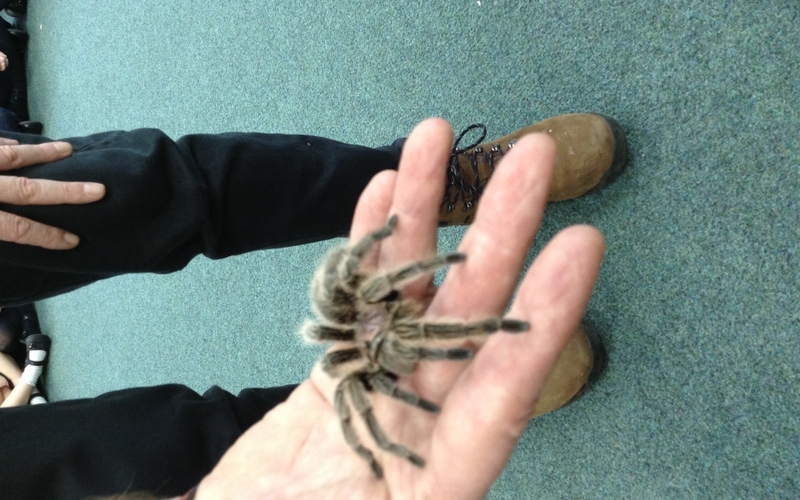 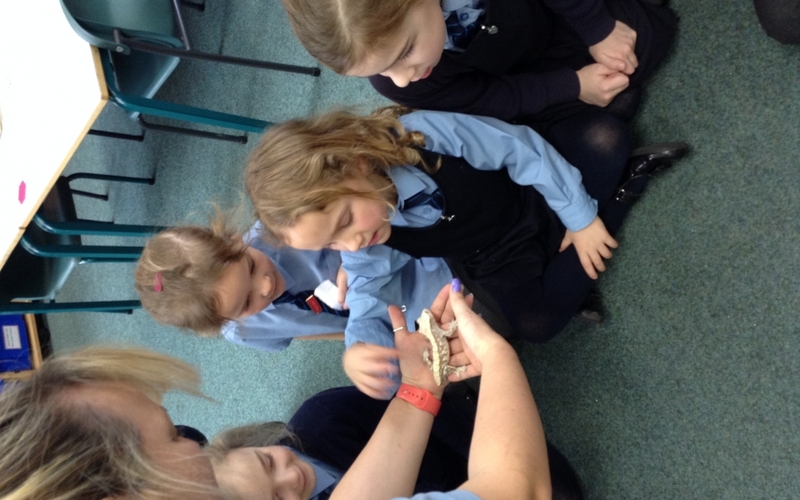 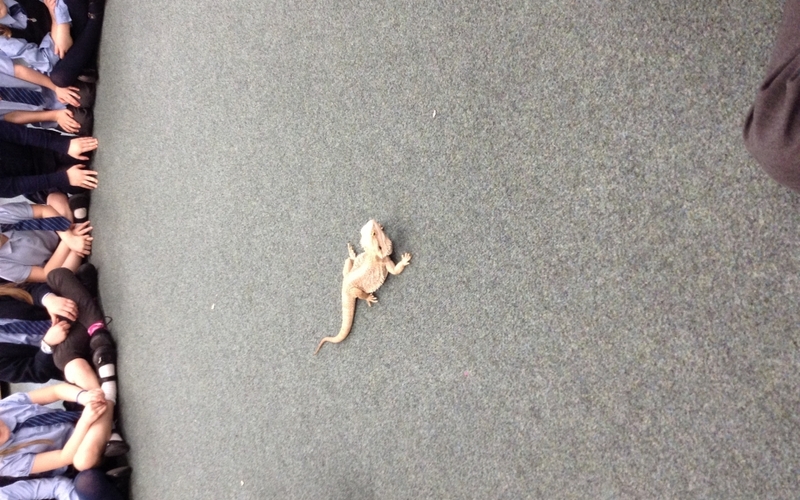 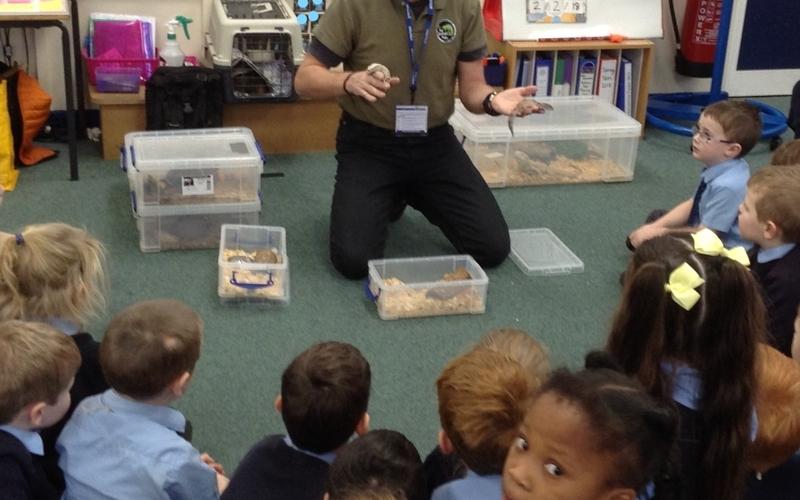 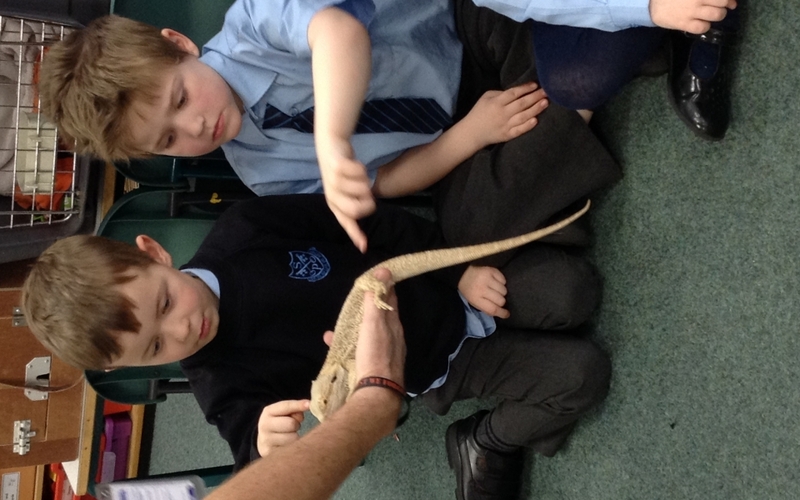 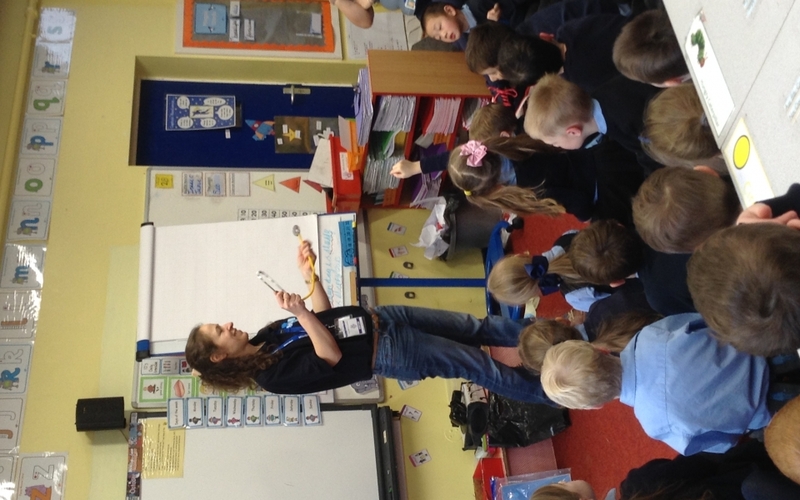 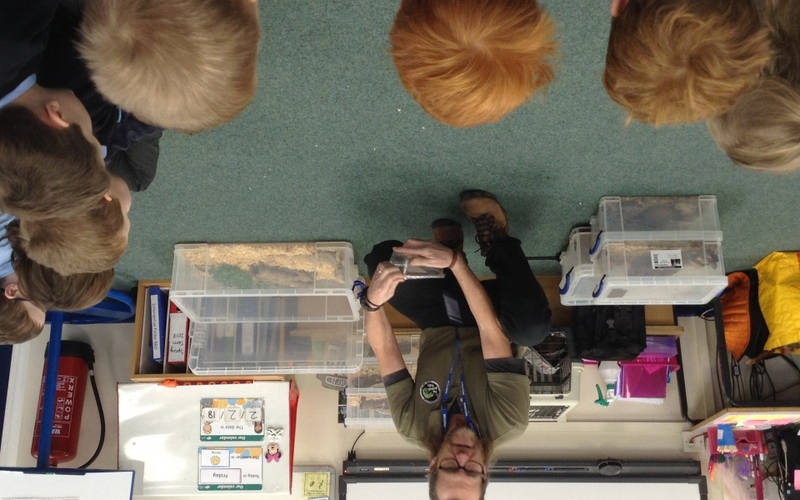 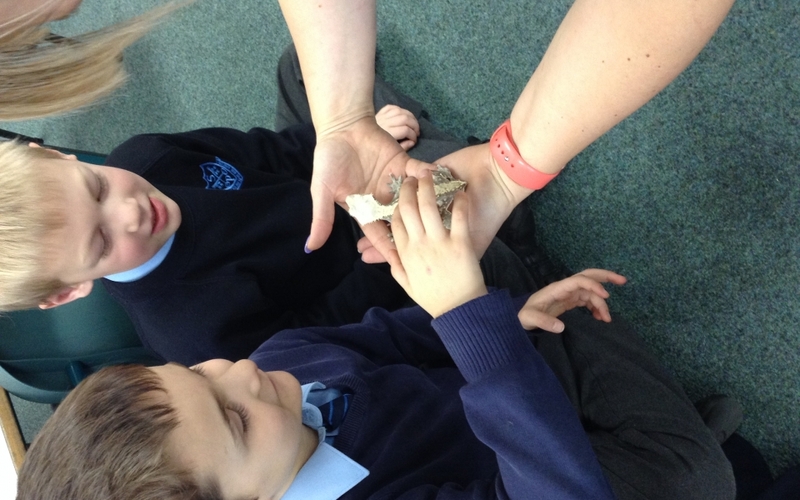 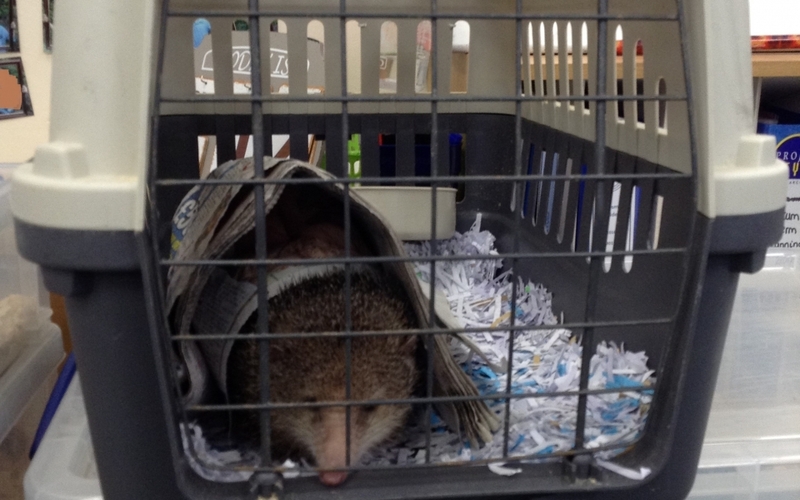 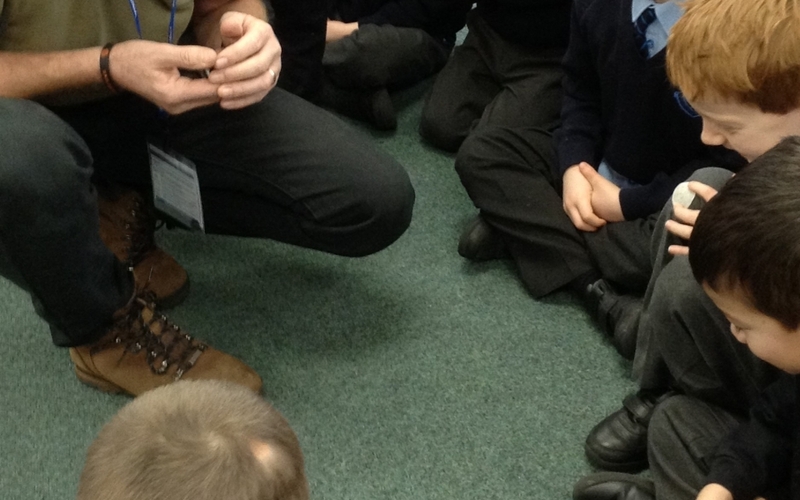 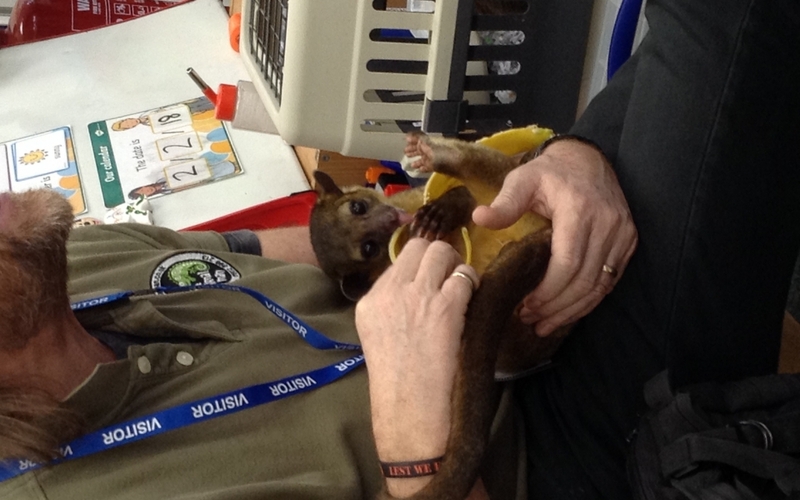 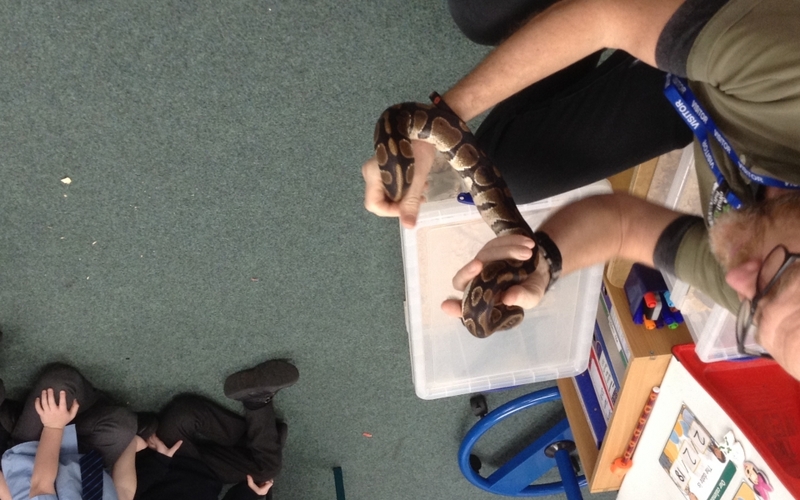 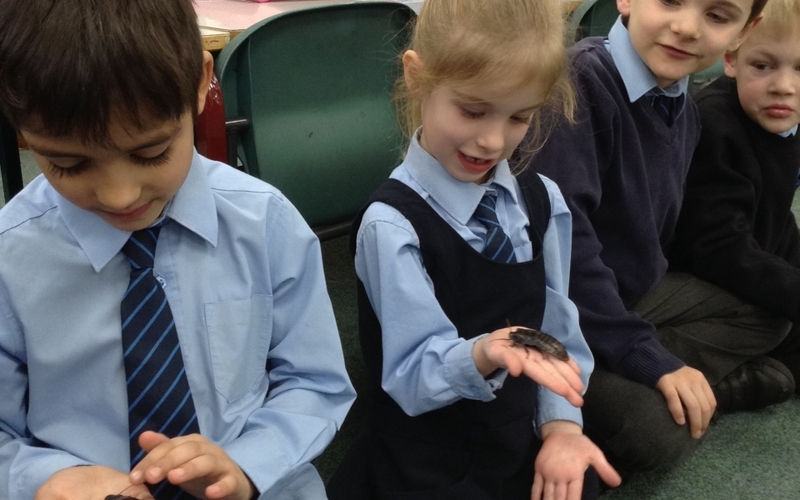 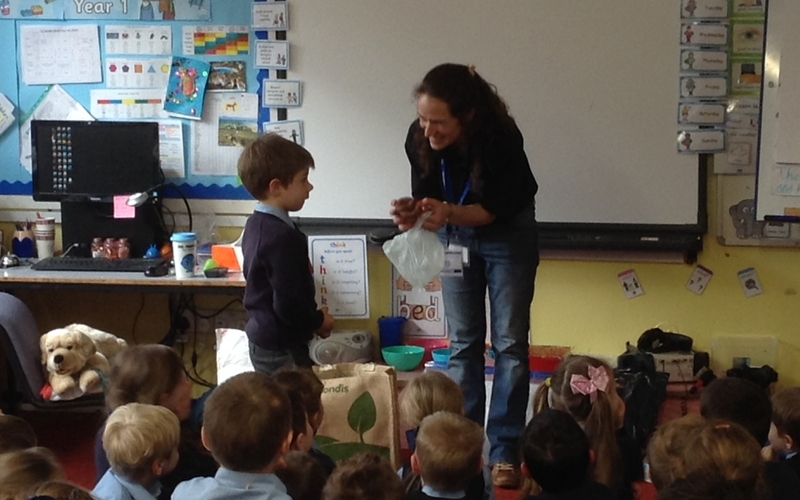 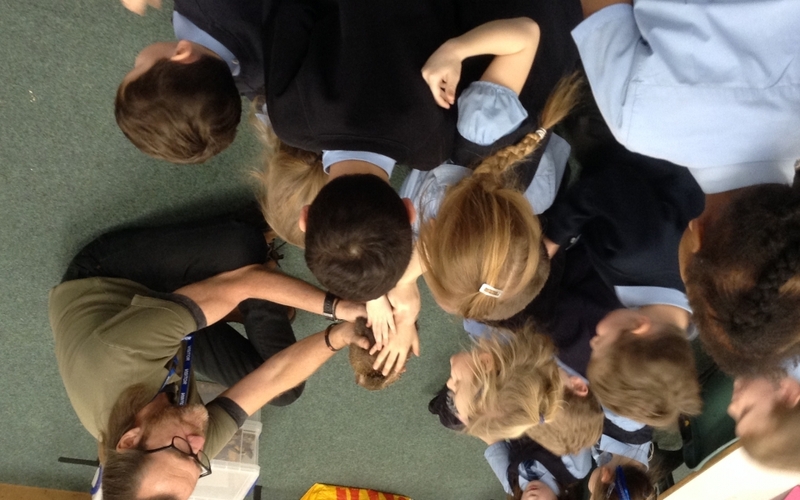 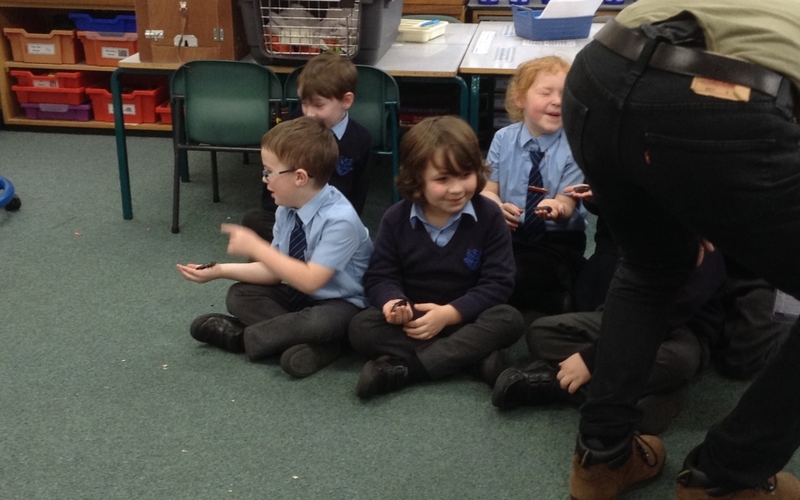 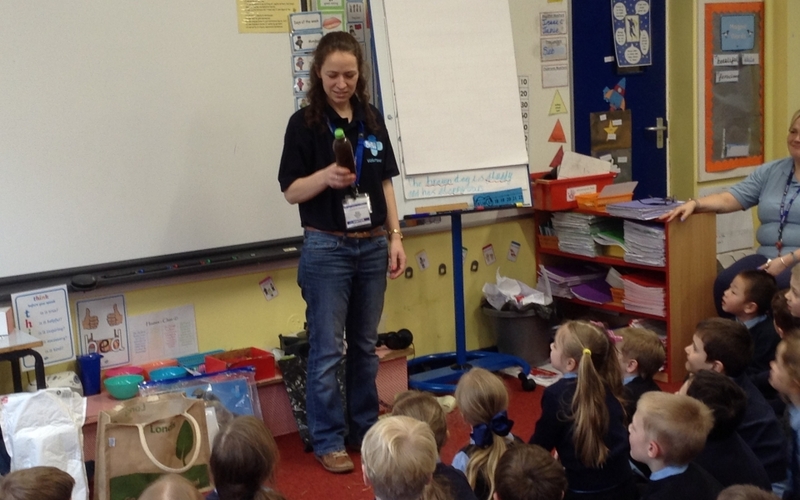 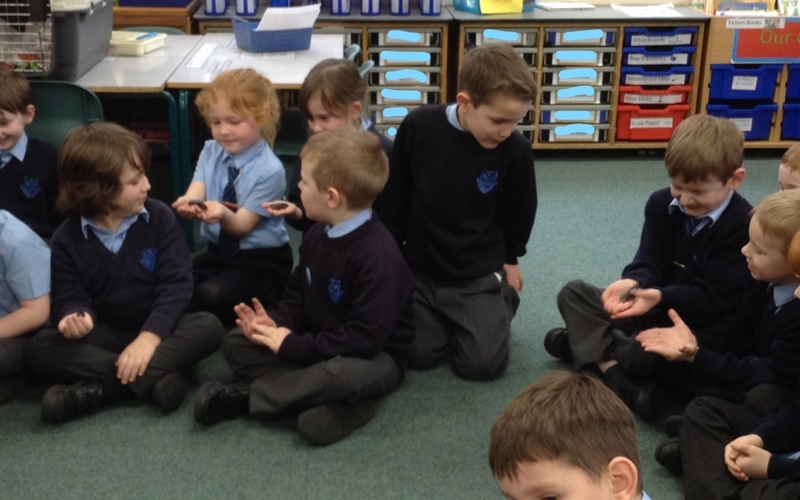 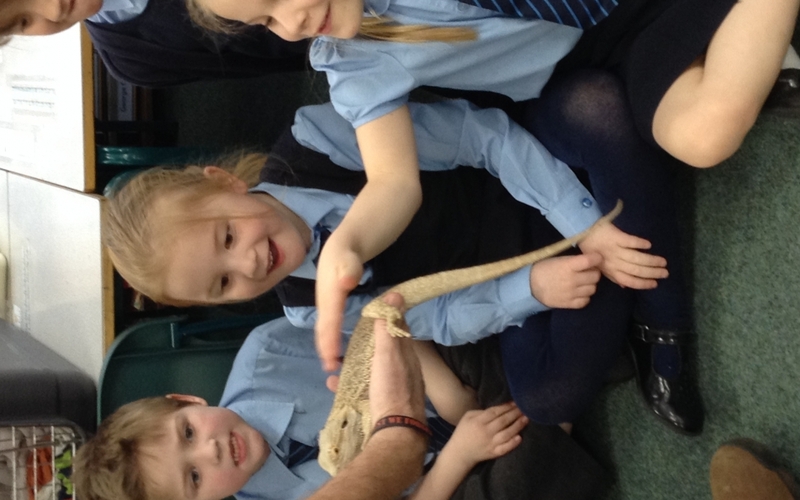 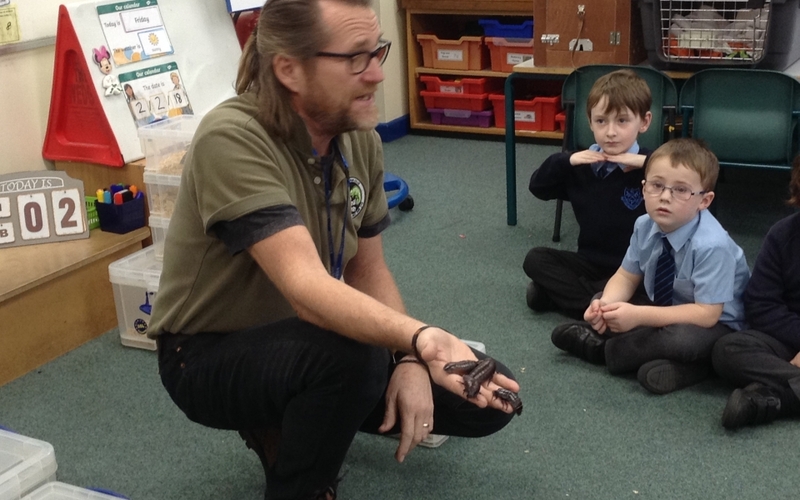 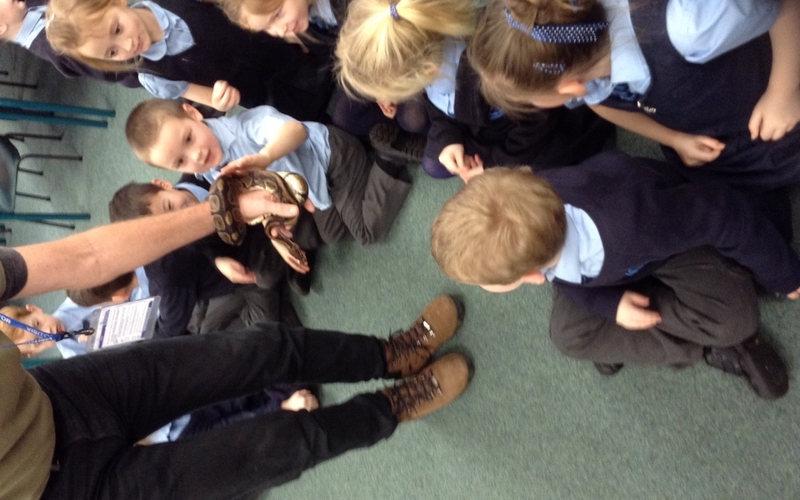 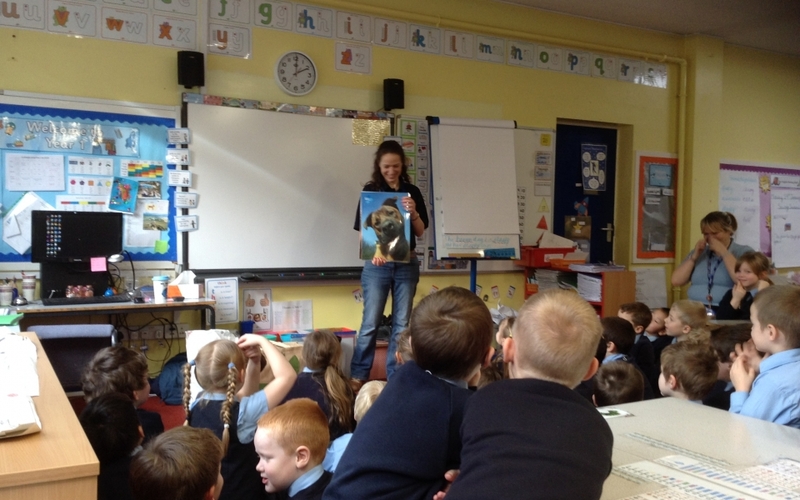 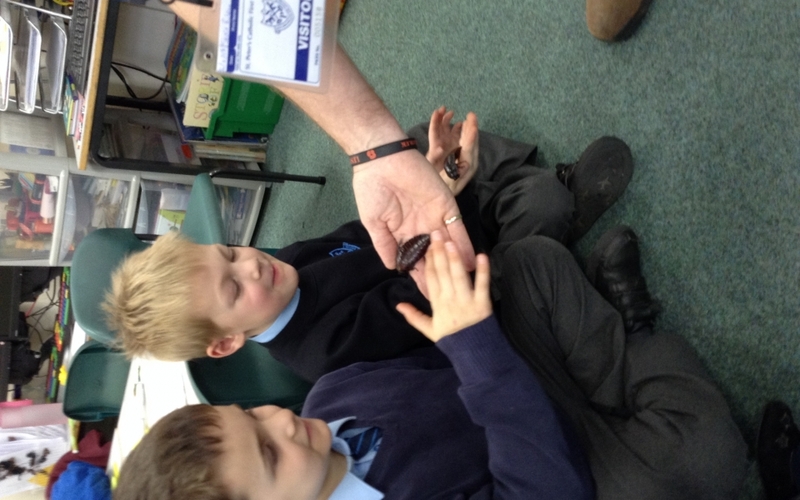 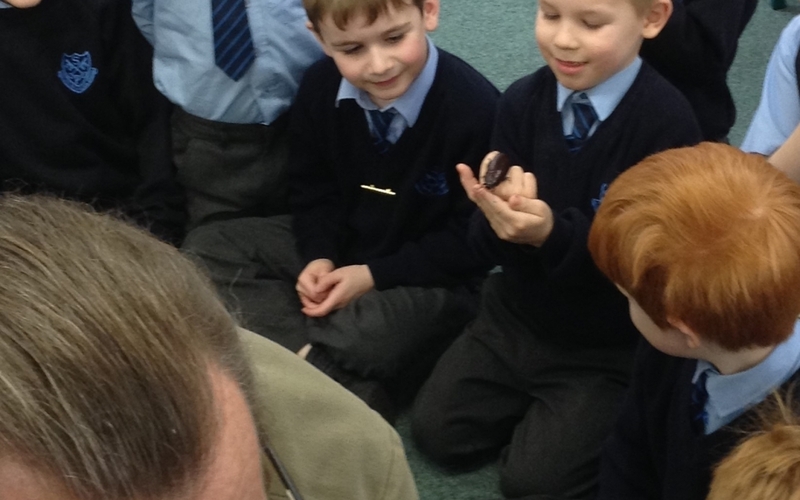 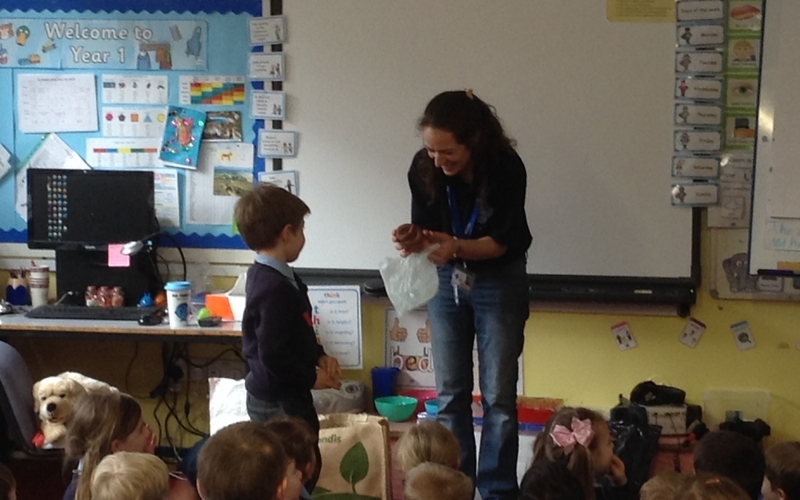 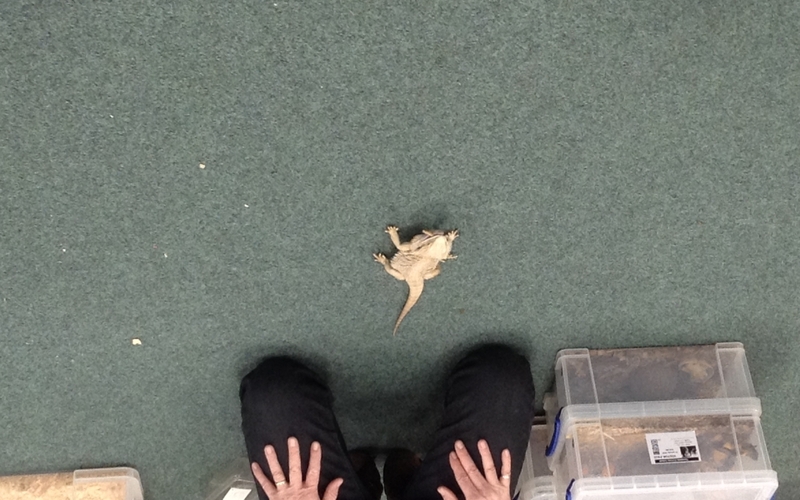 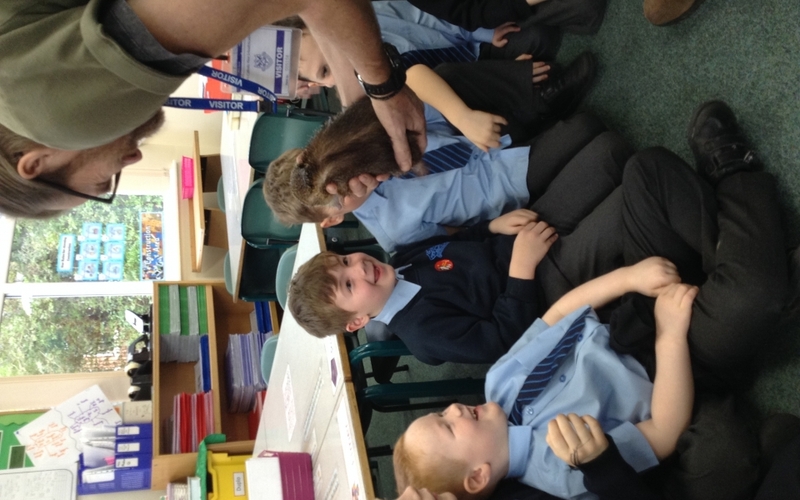 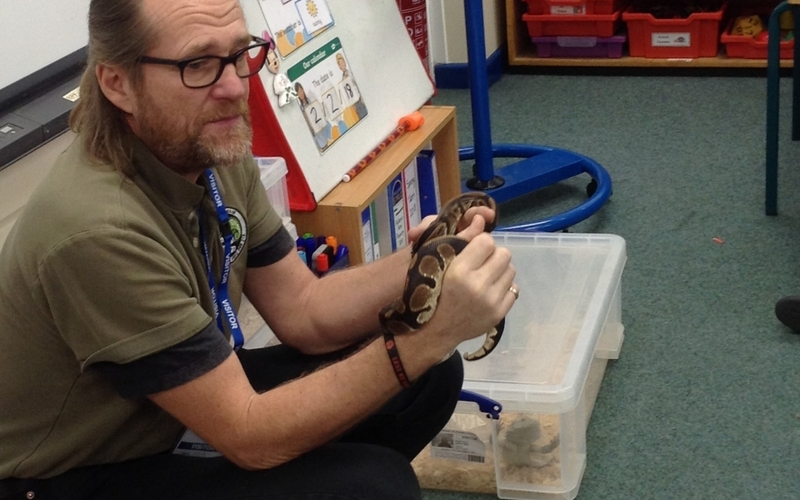 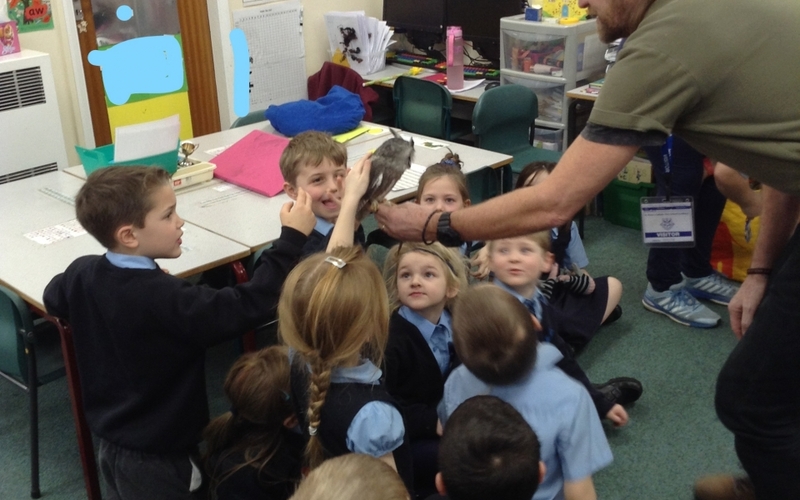 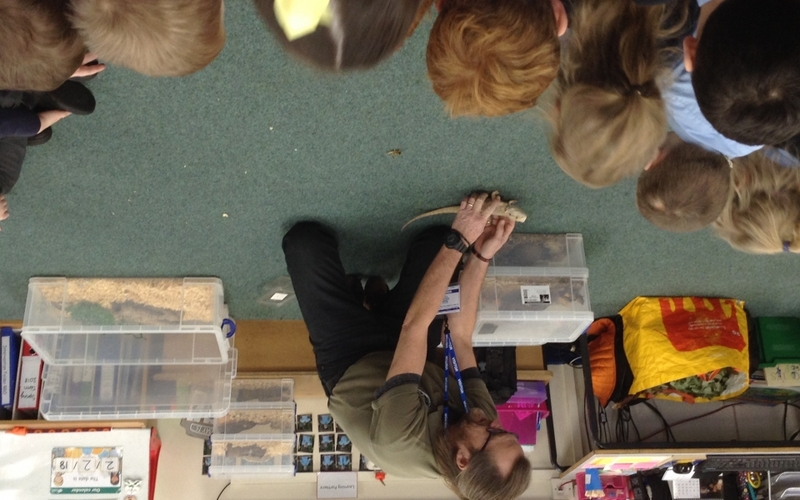 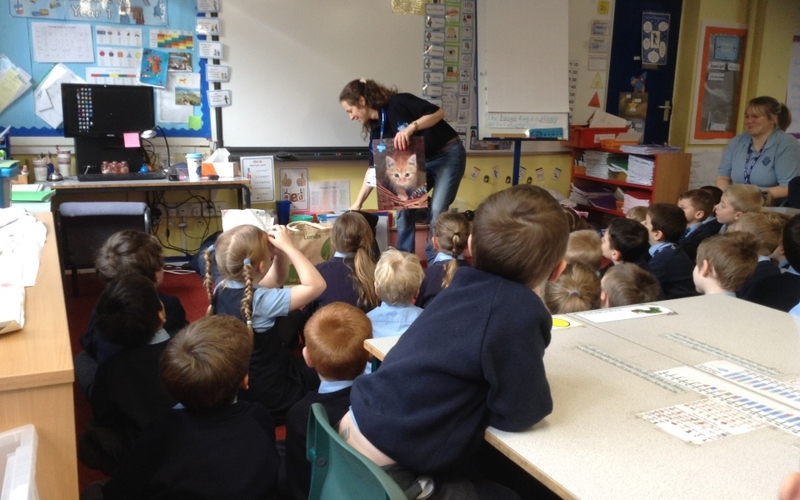 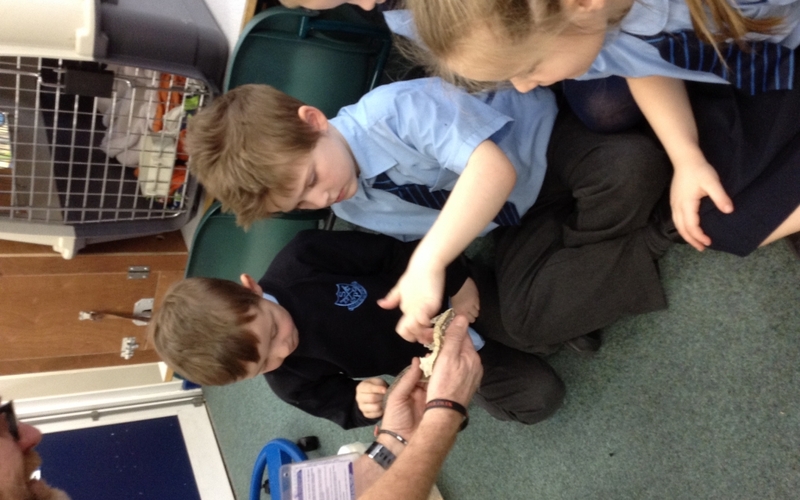 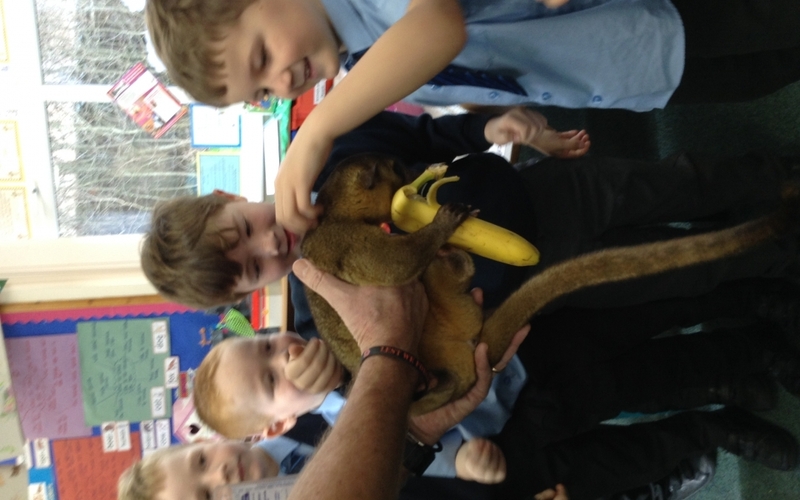 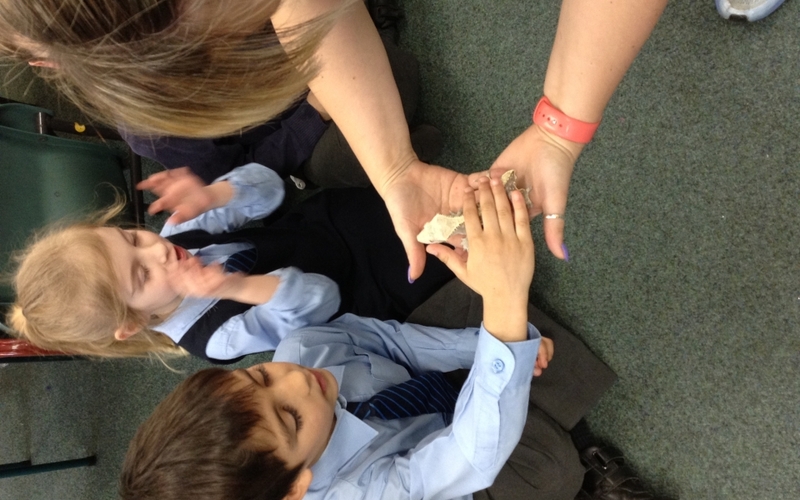 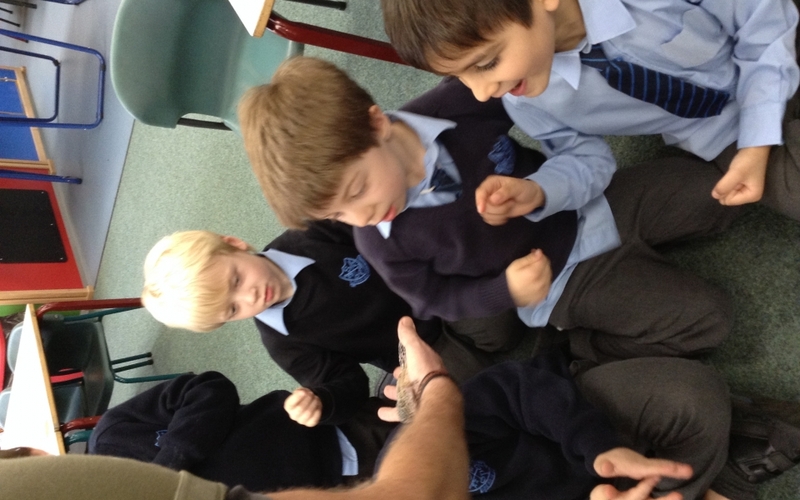 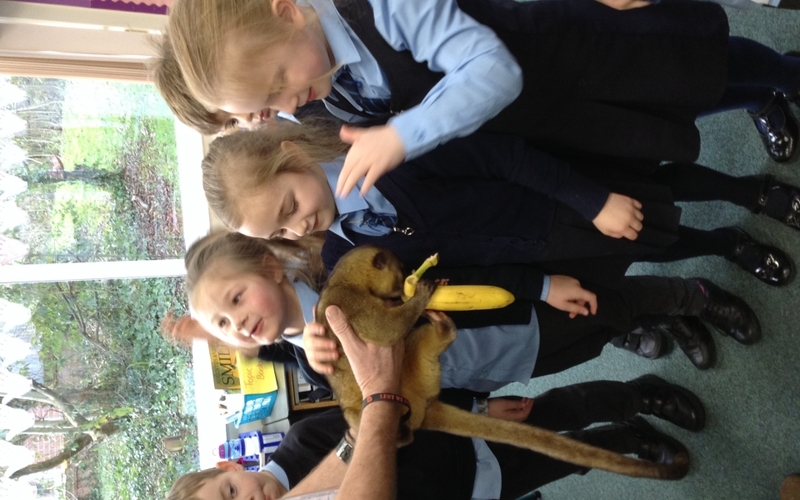 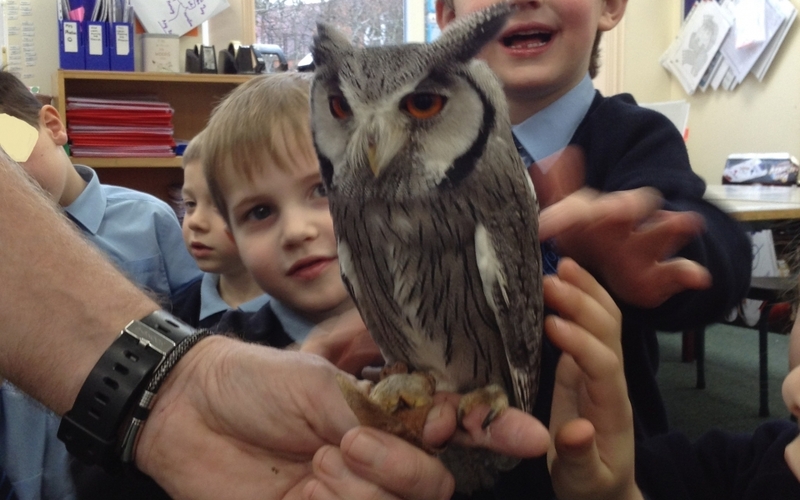 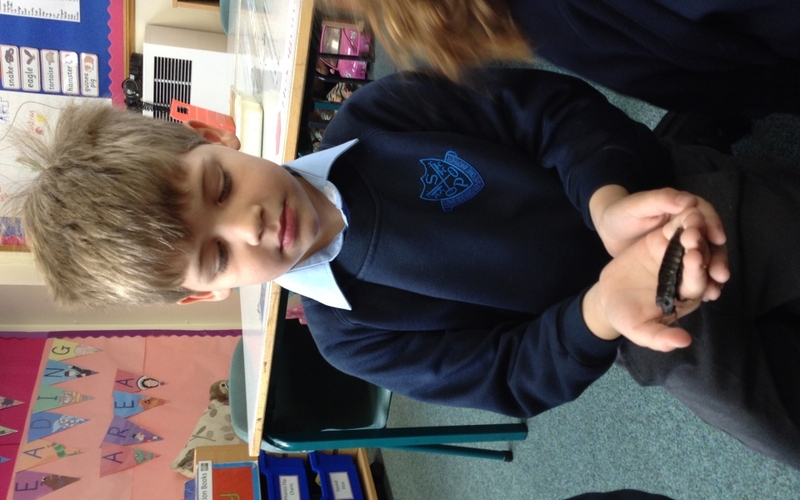 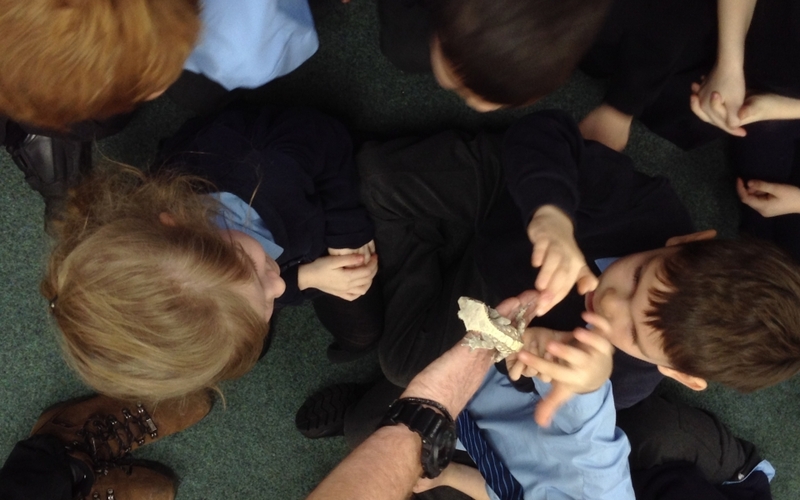 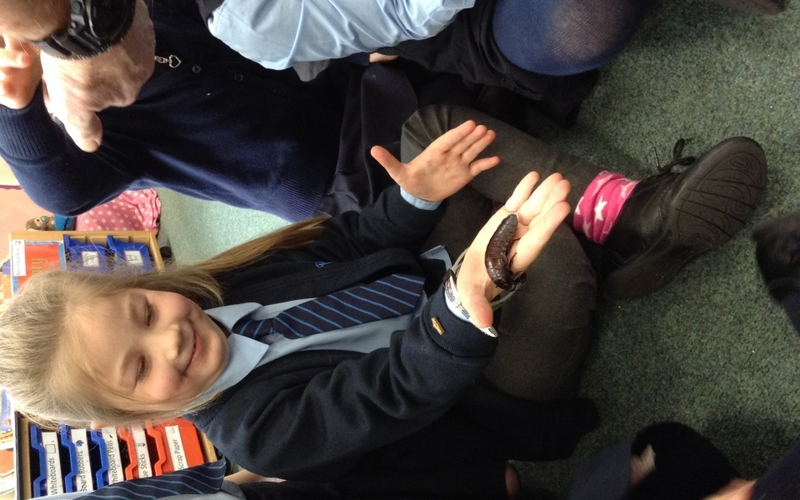 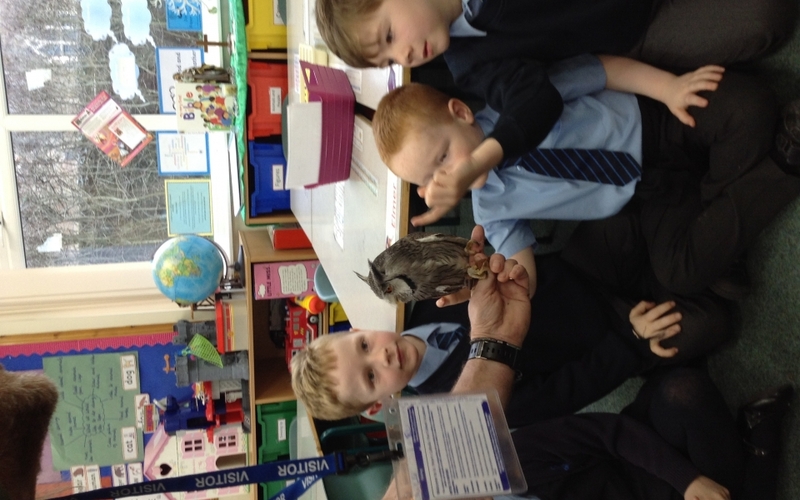 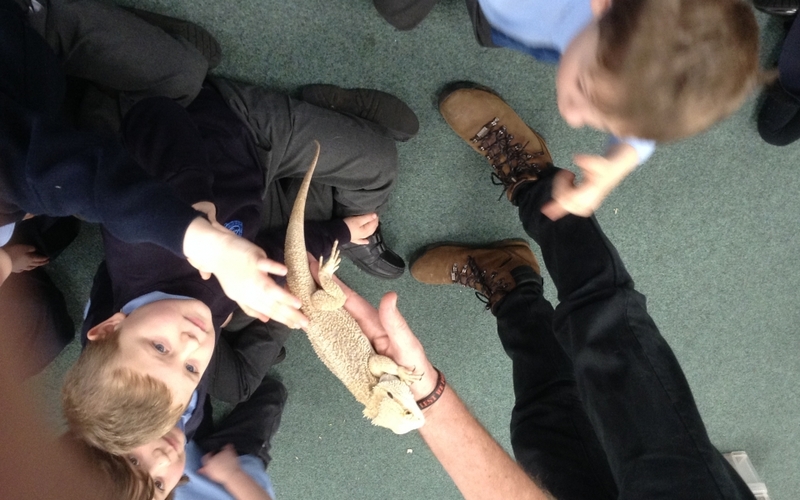 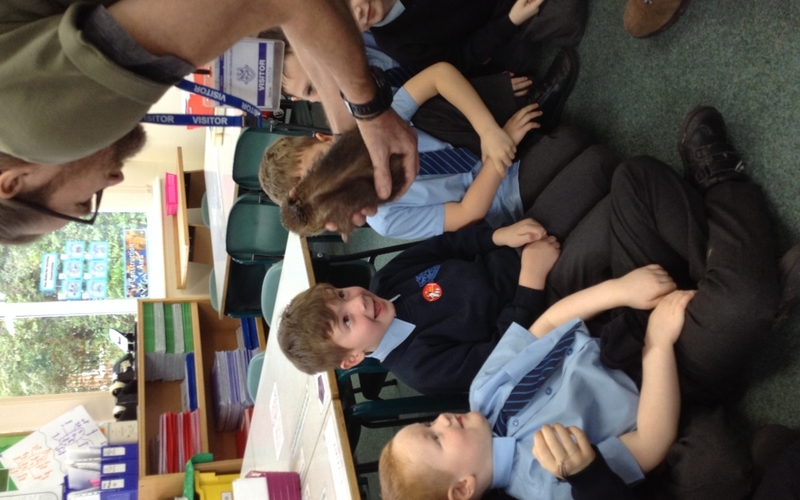 As part of our ‘Paws, Claws and Whiskers’ topic this term, we had a visit from The Animal Man. 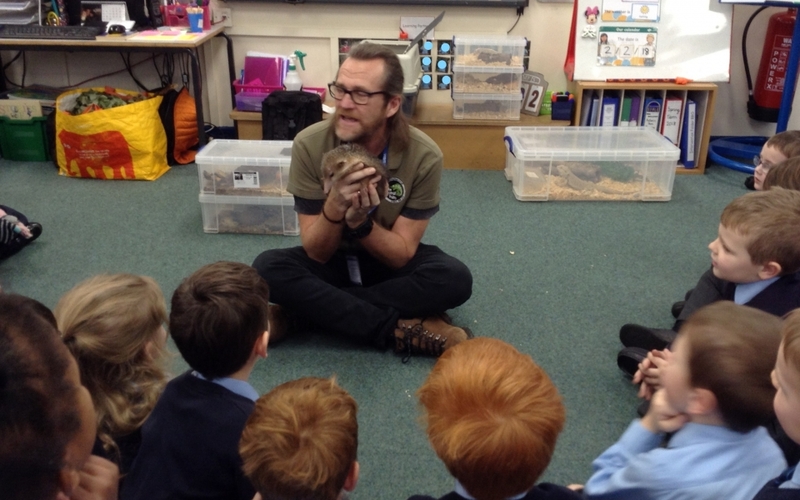 He brought along all of these animals; a snake, geckos, a tarantula, a bearded dragon, a honey bear, an owl, cockroaches, an African horn frog and a tenrec. 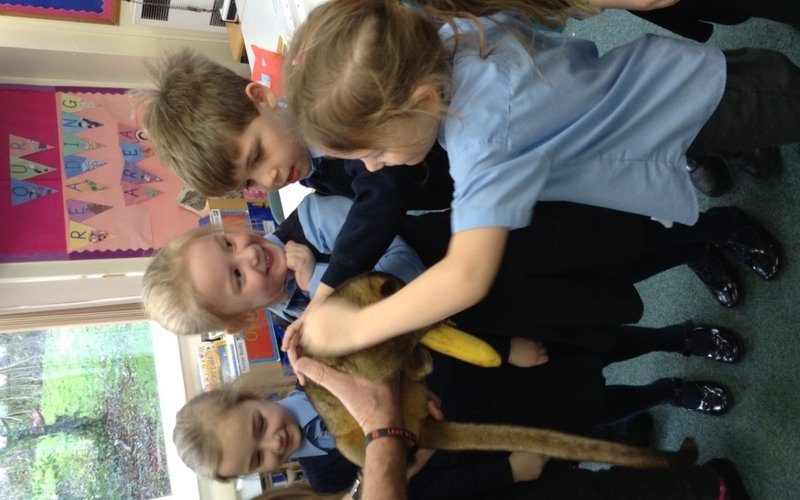 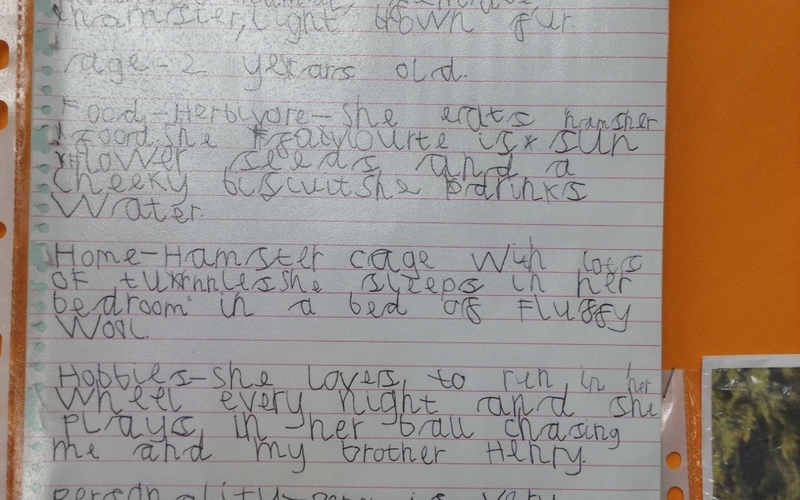 We got to stroke, fuss and hold the animals. 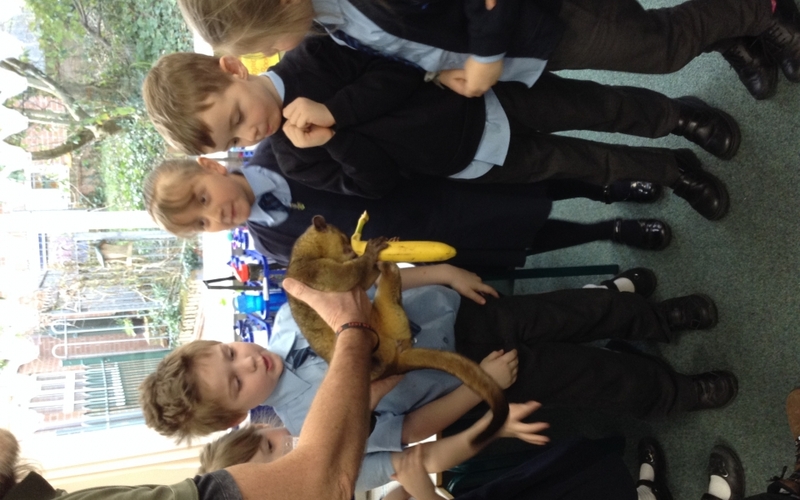 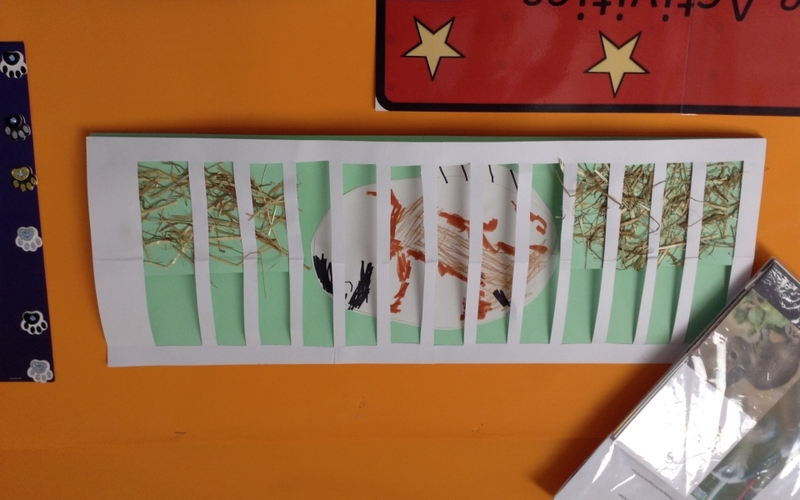 We also learnt lots of amazing and interesting facts about each animal including where they are originally from and what they like to eat. 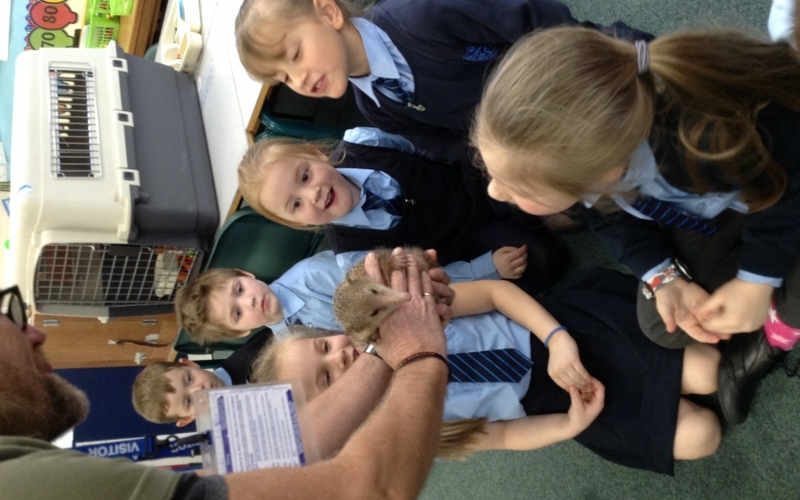 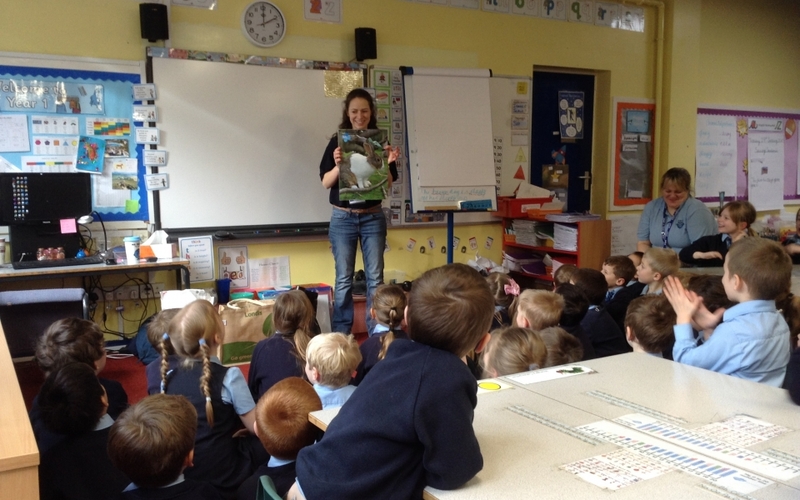 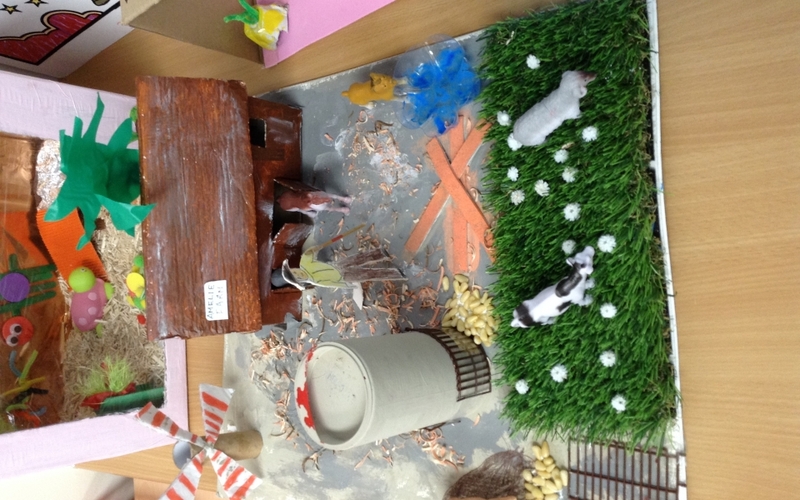 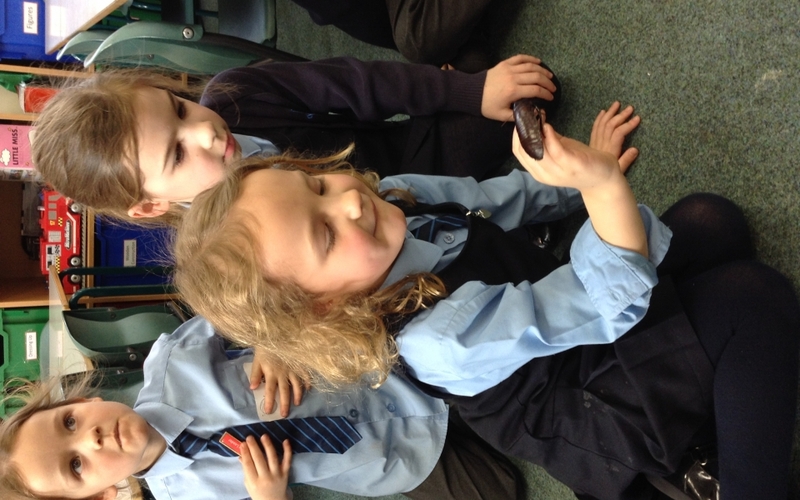 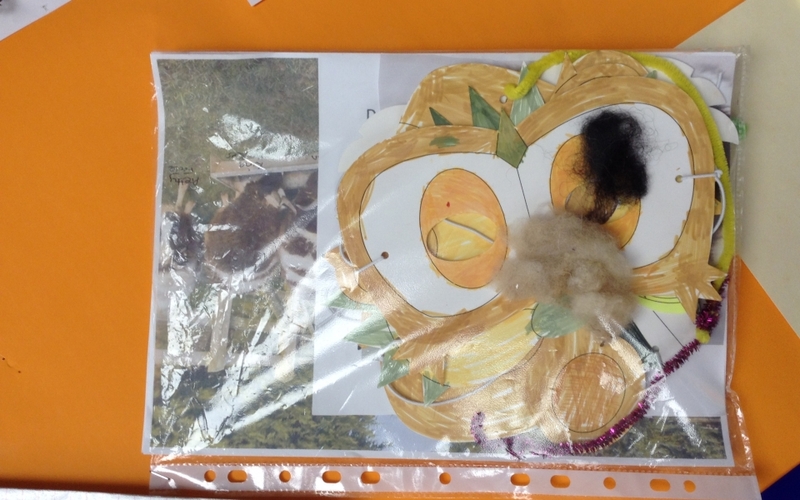 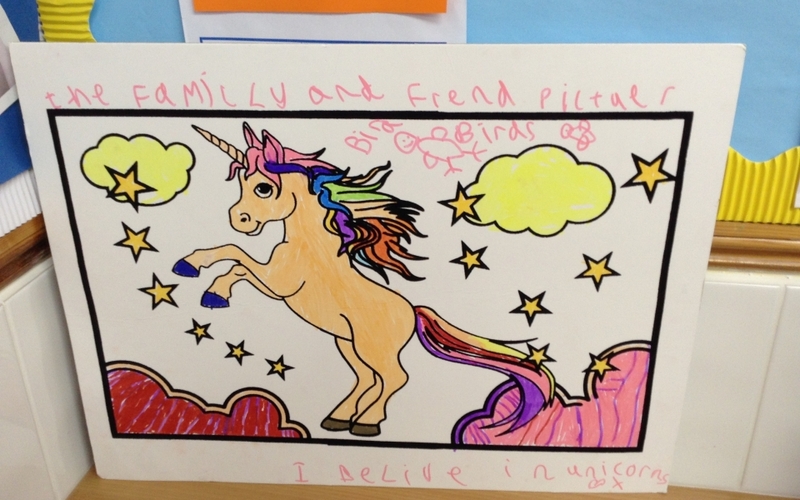 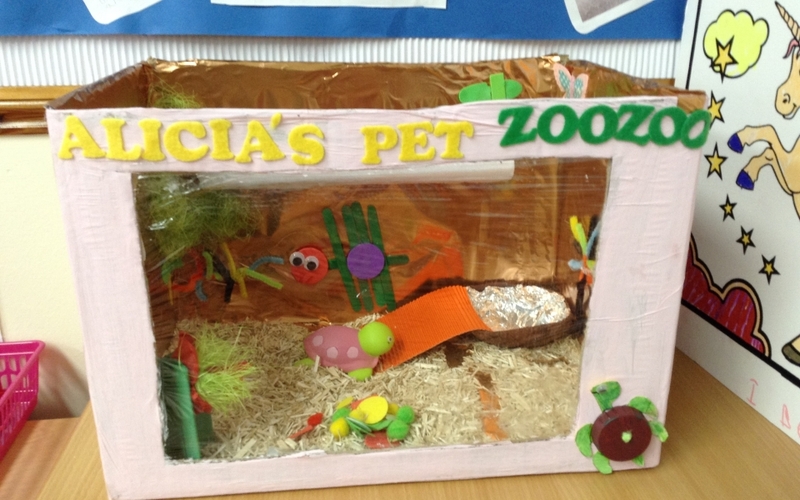 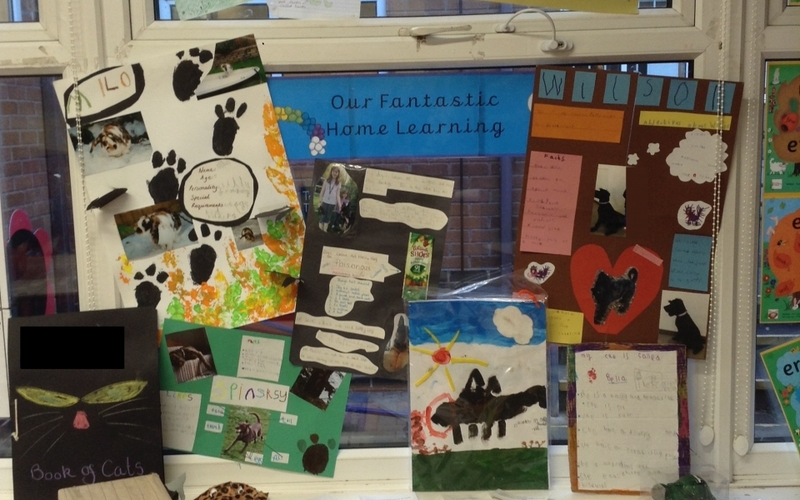 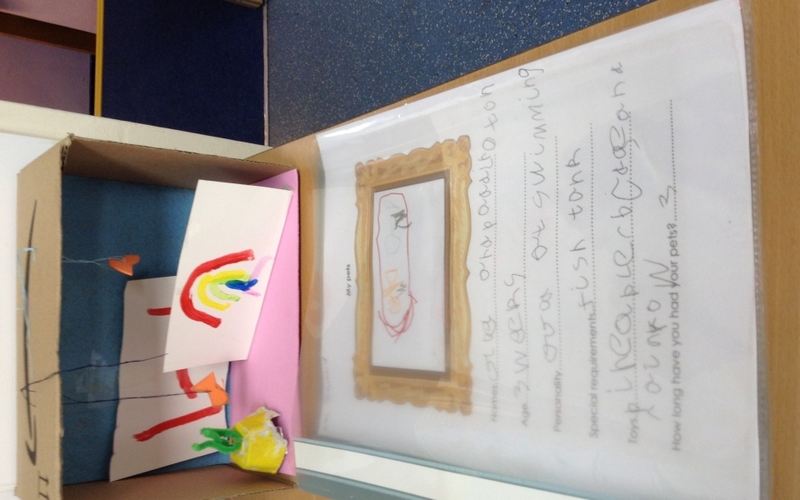 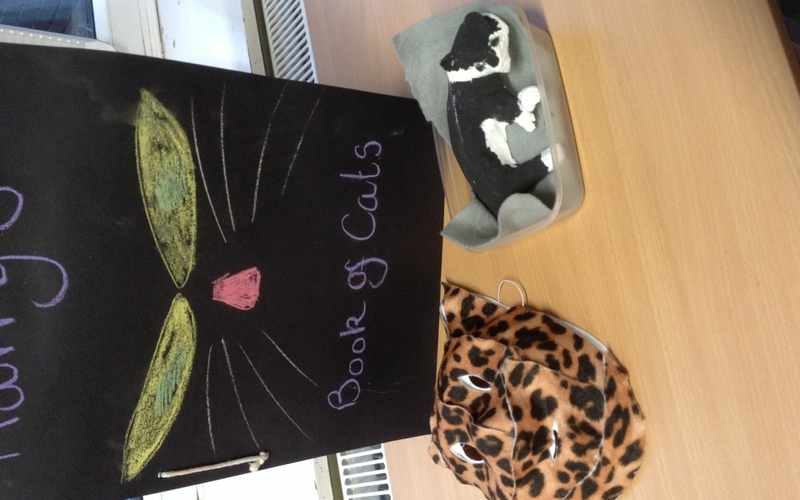 We all had a brilliant time and look forward to learning even more about amazing animals! 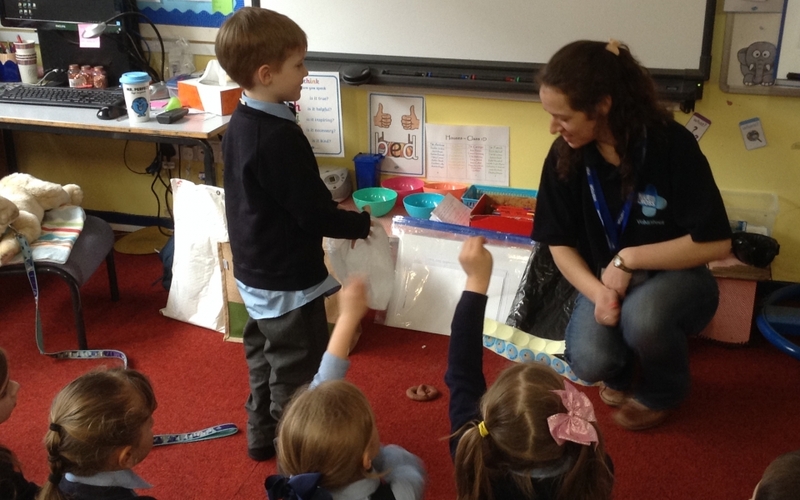 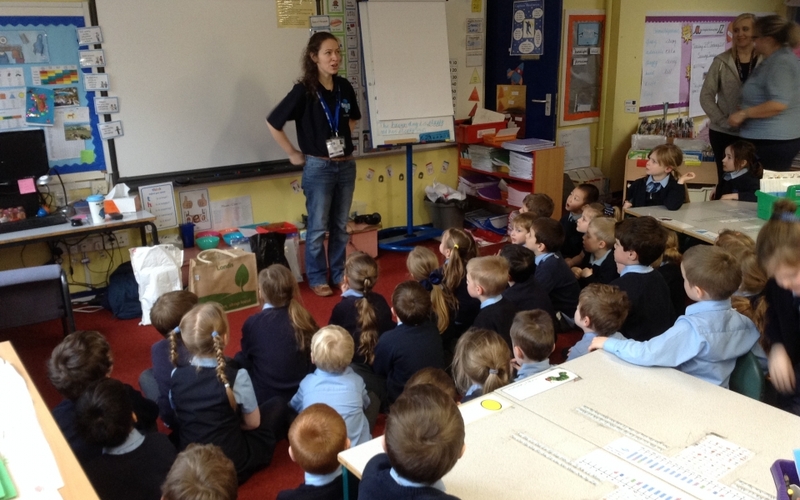 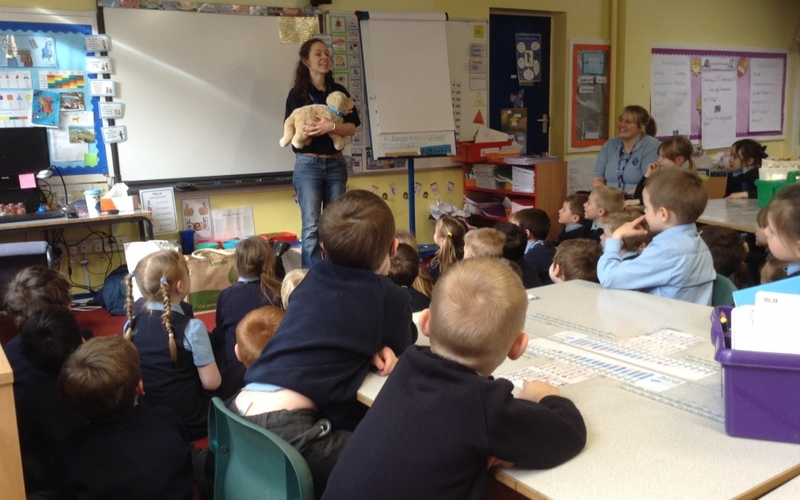 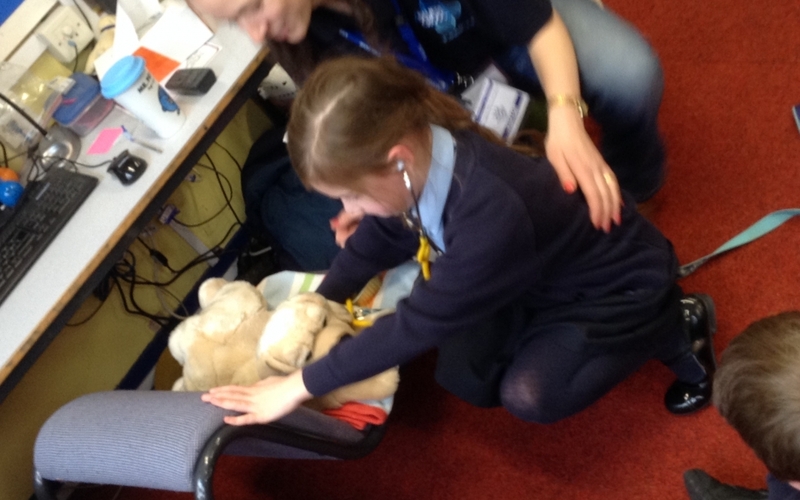 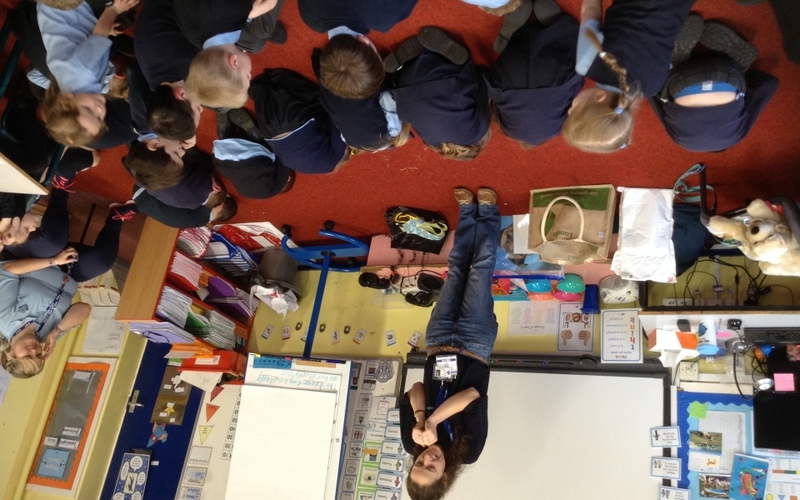 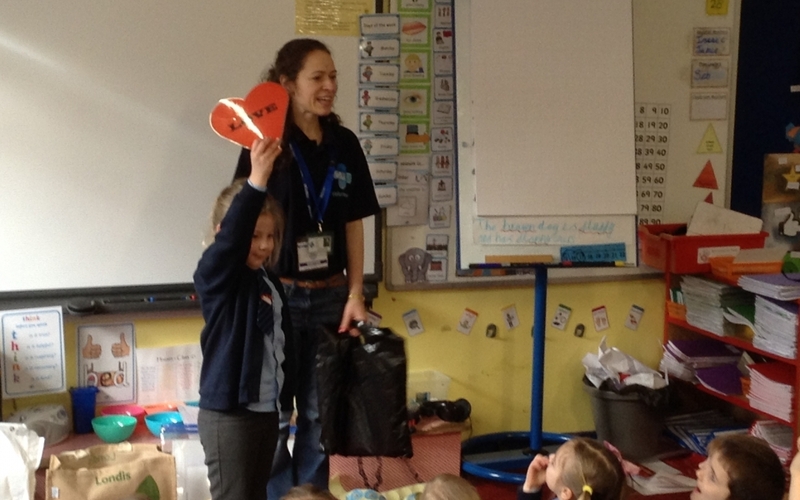 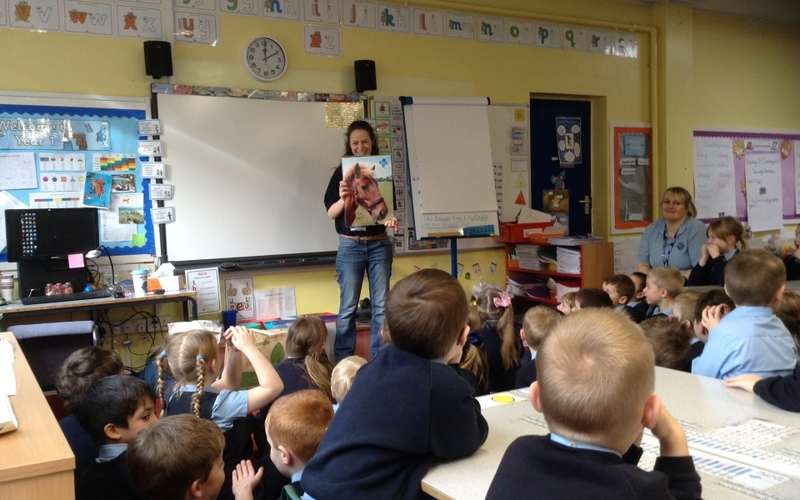 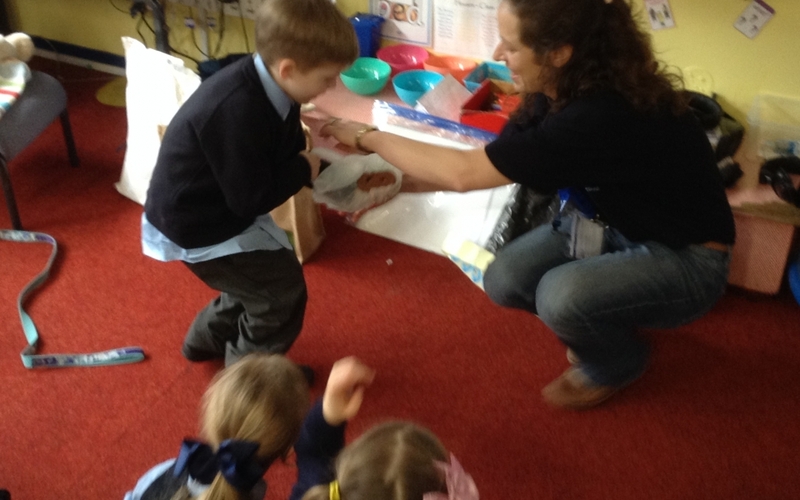 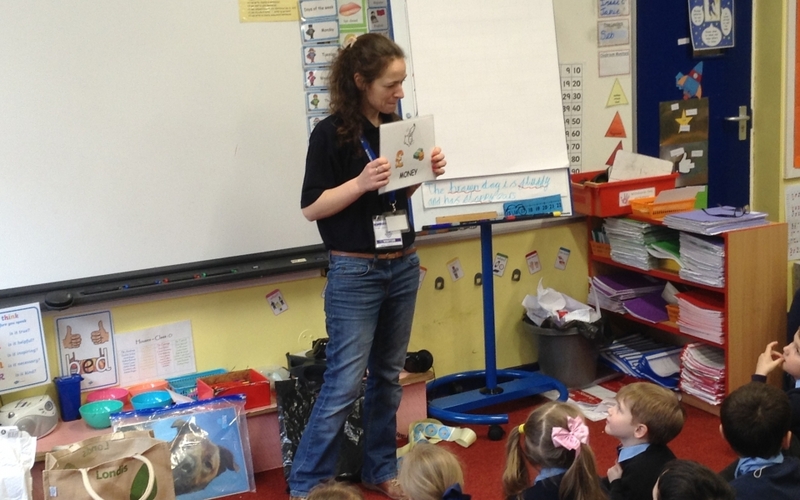 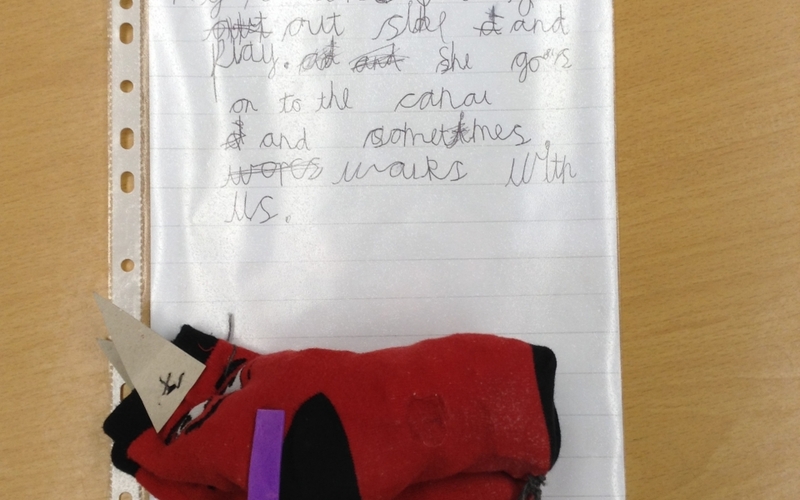 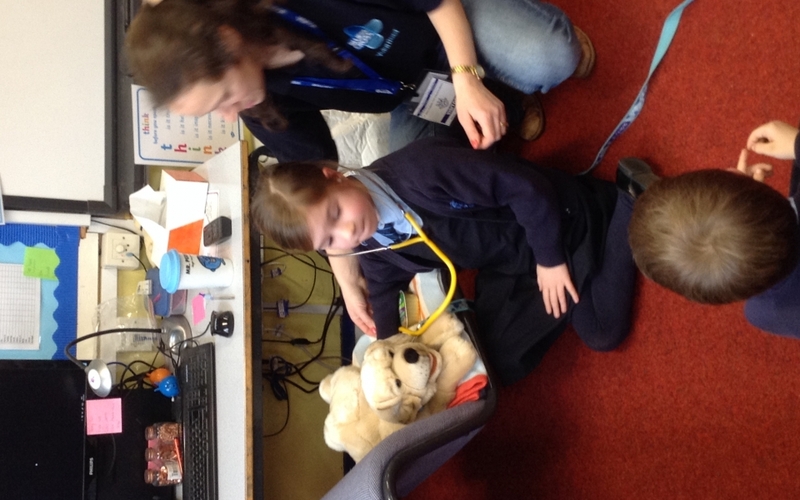 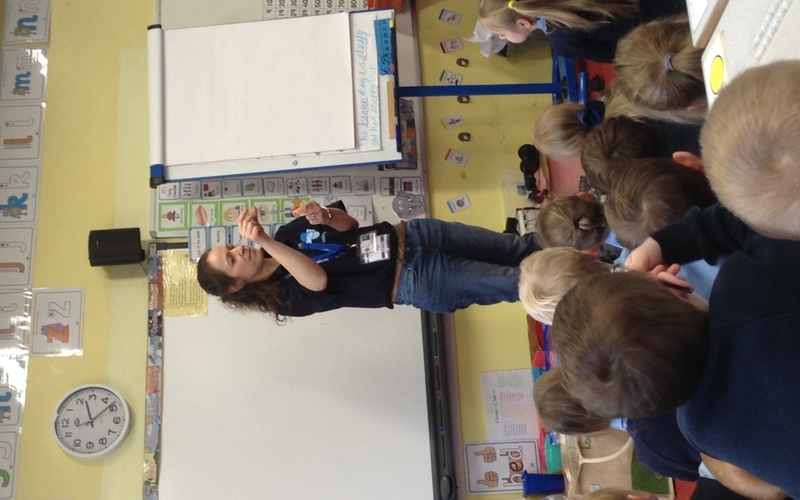 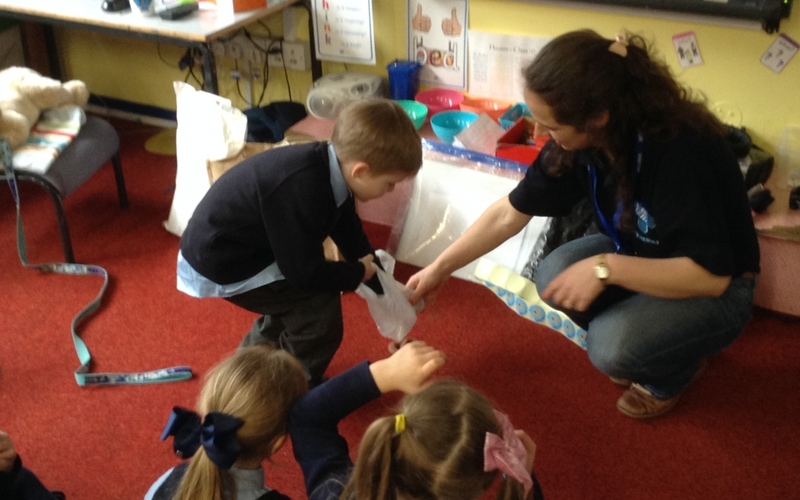 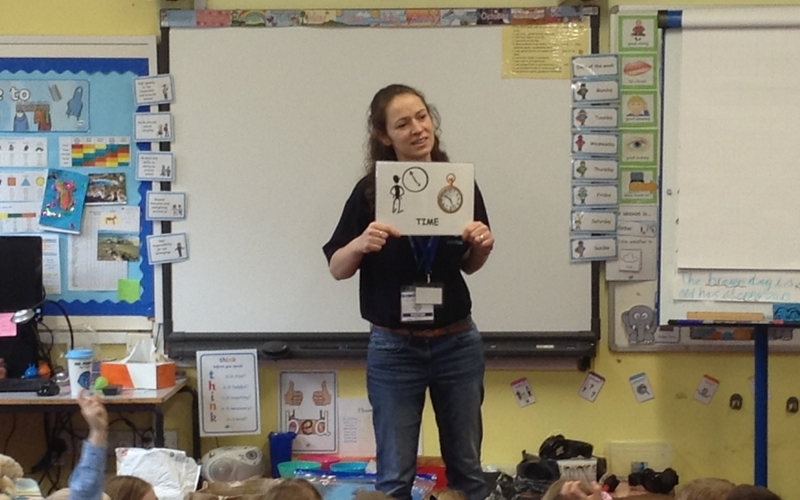 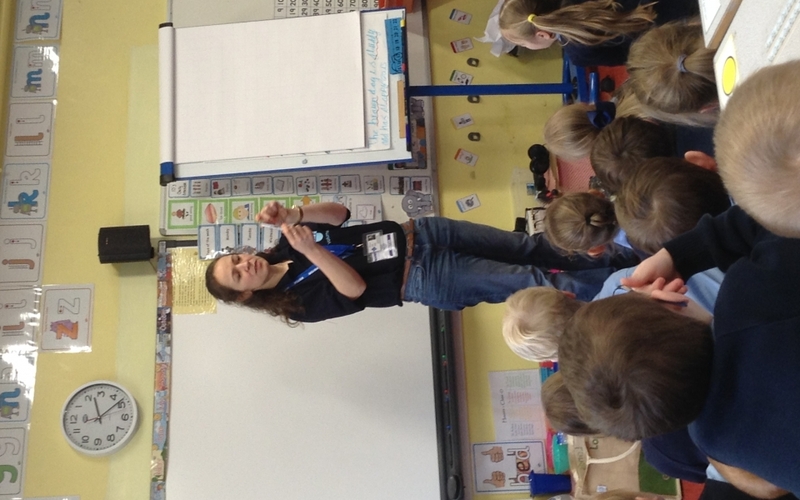 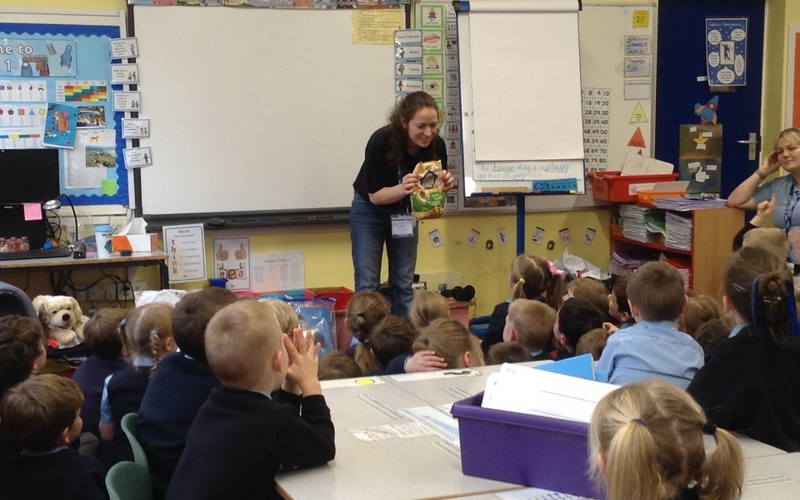 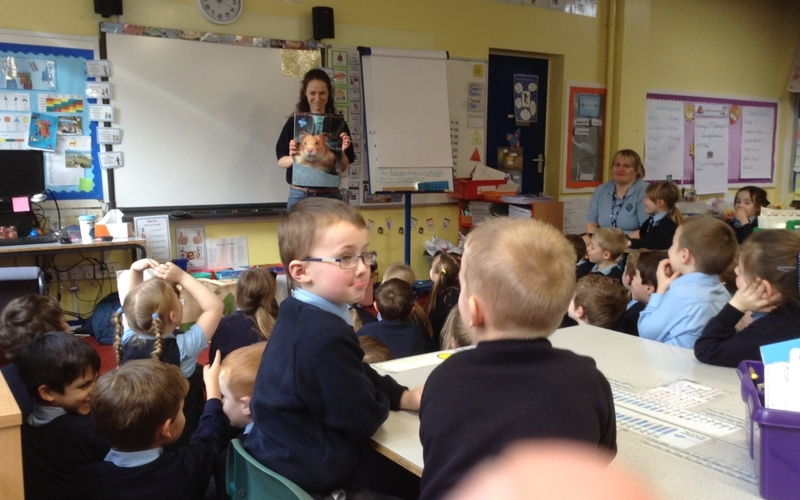 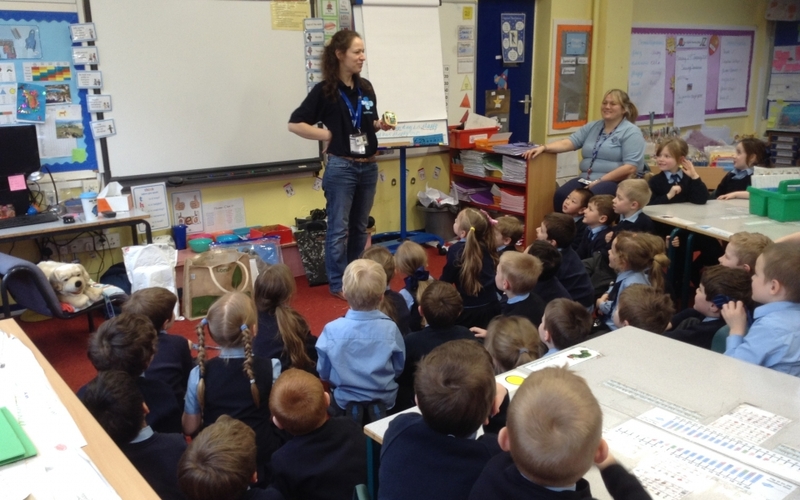 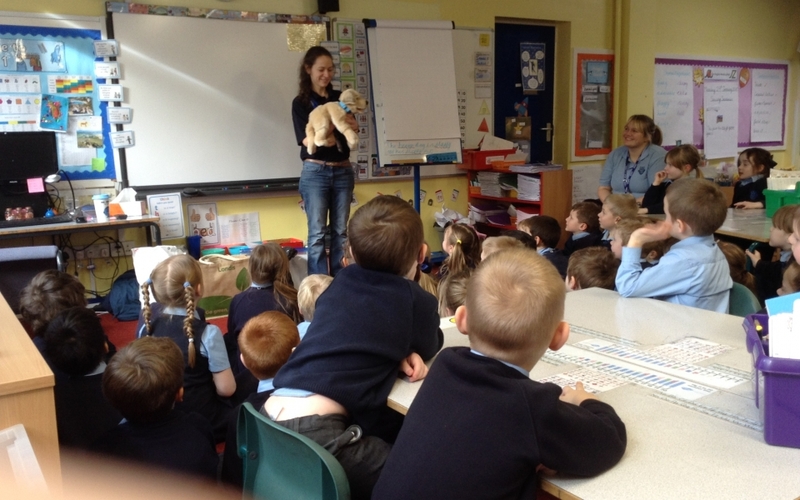 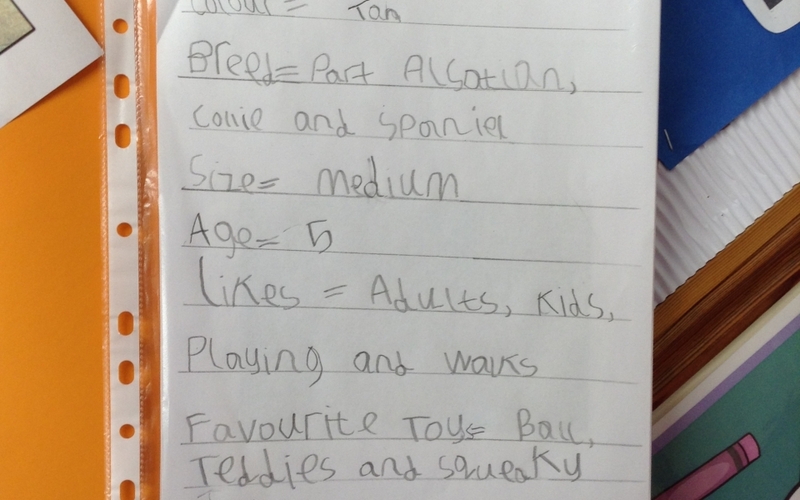 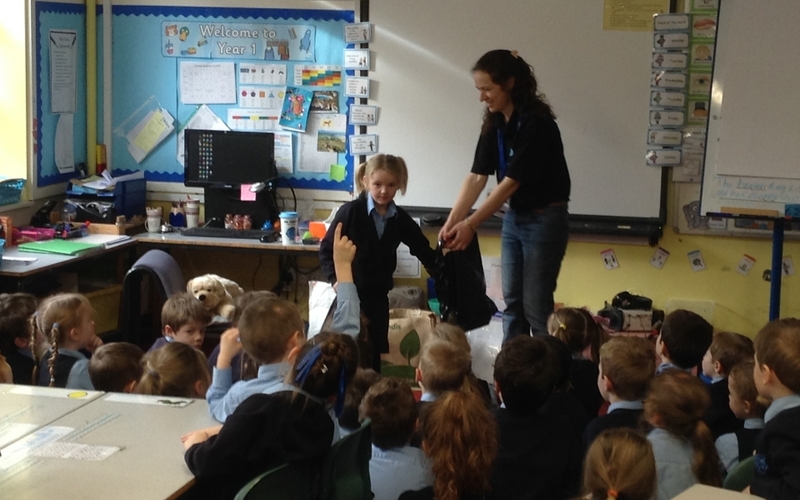 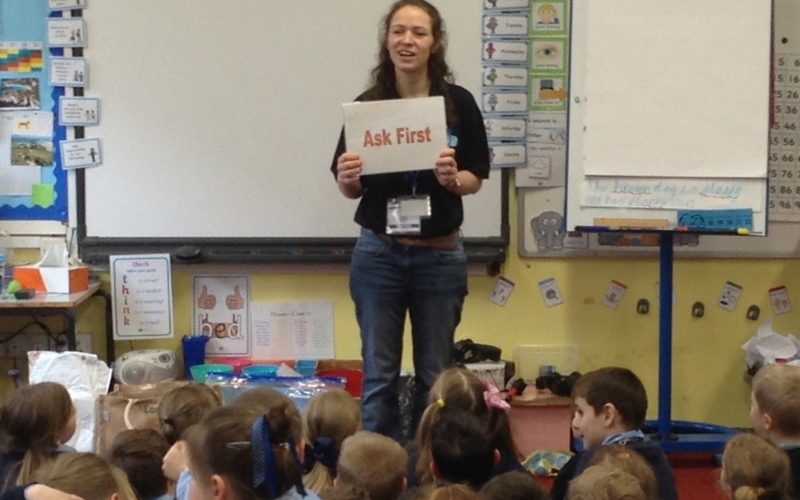 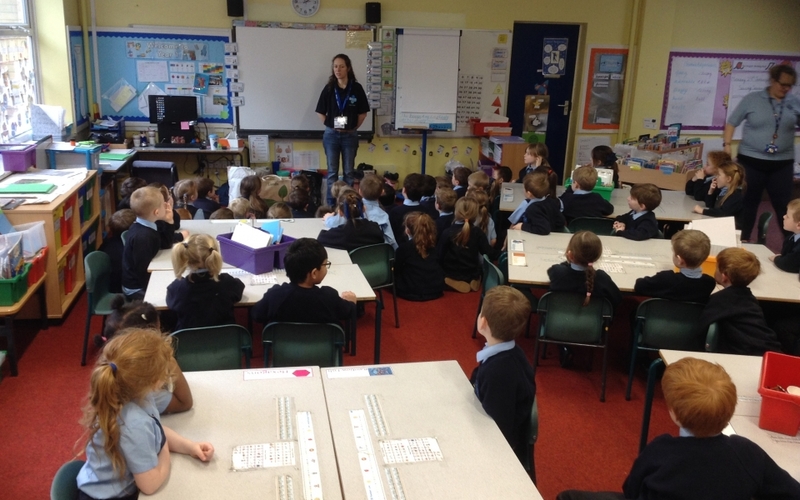 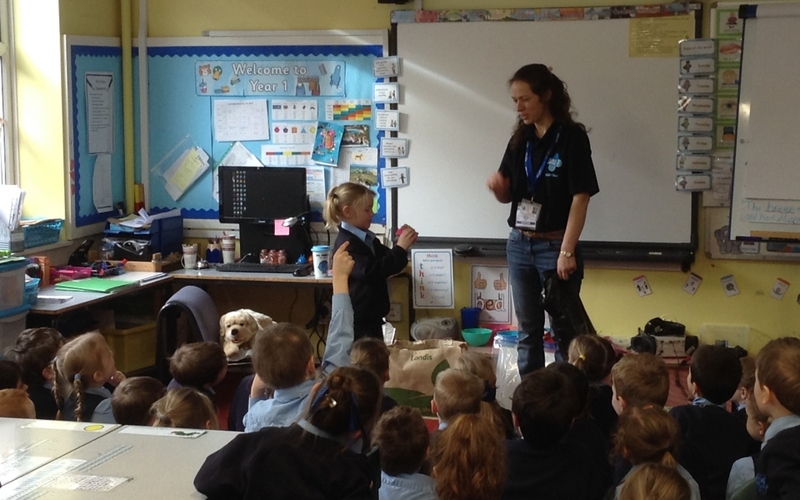 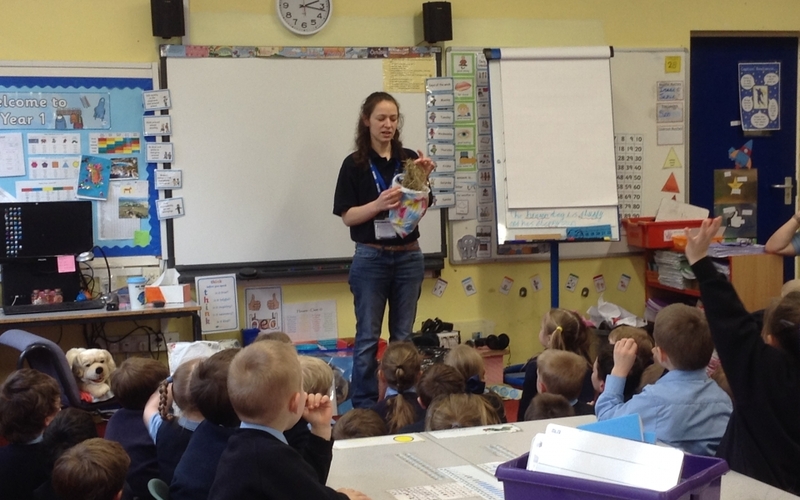 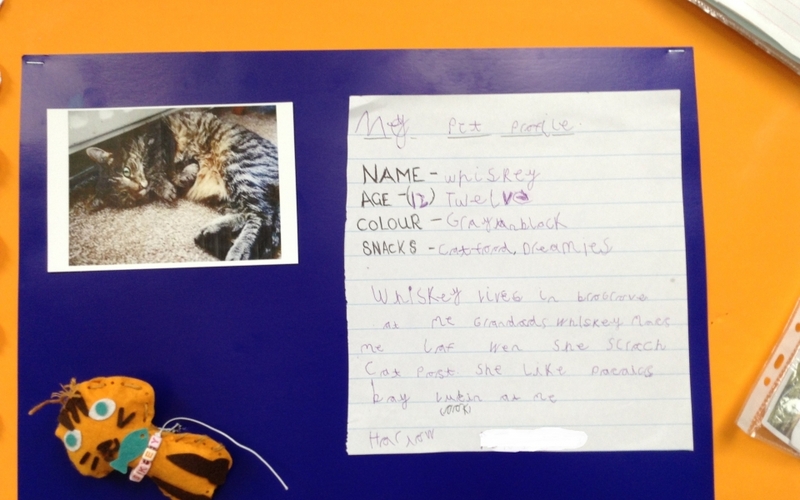 As part of Year 1’s ‘Paws, Claws and Whiskers’ topic we had a lady and Teddy the toy dog visit us from The Blue Cross. 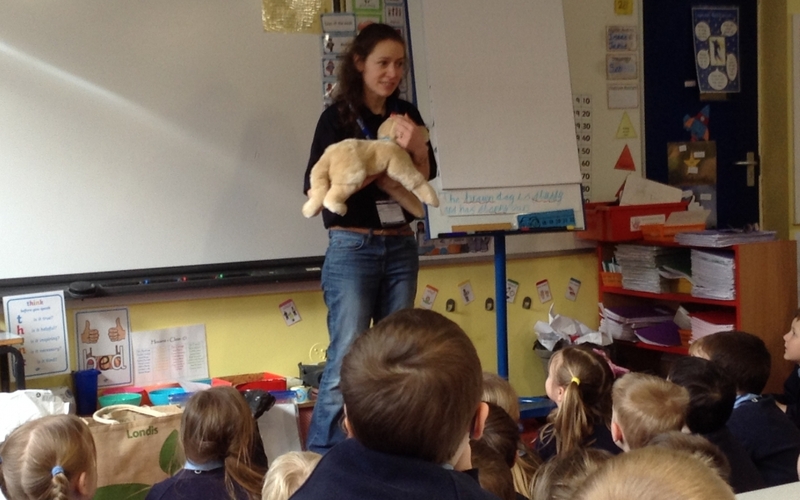 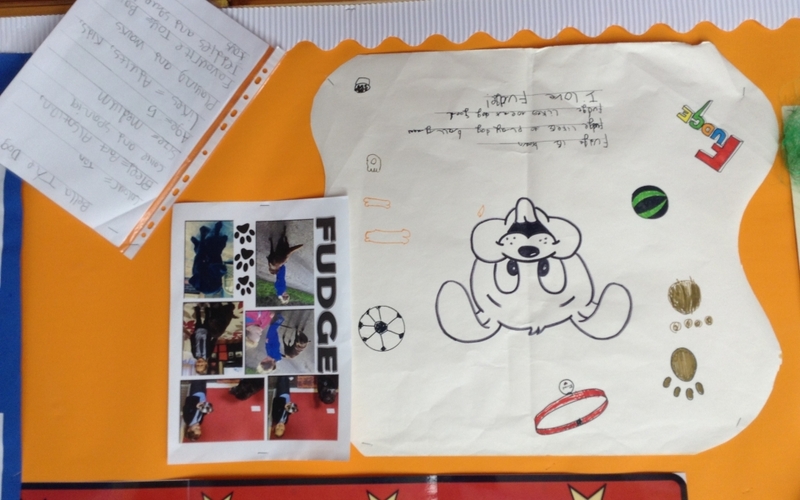 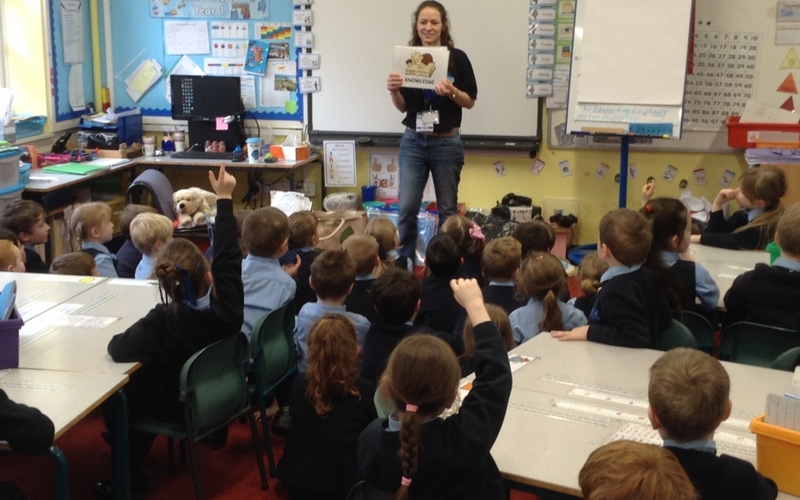 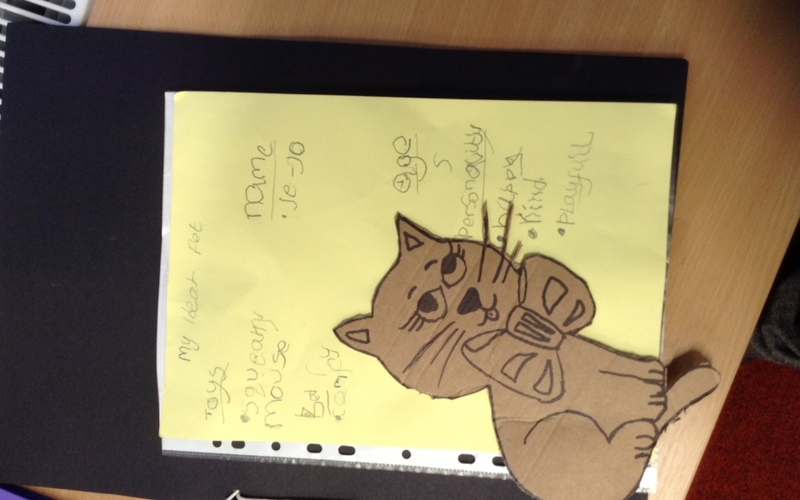 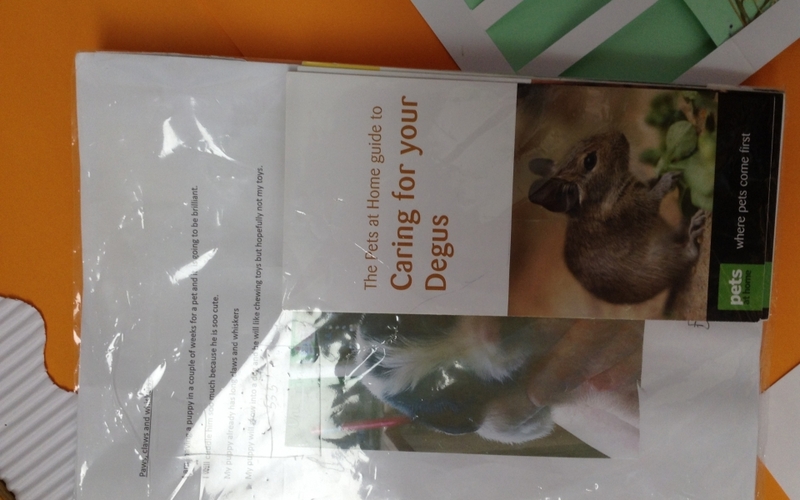 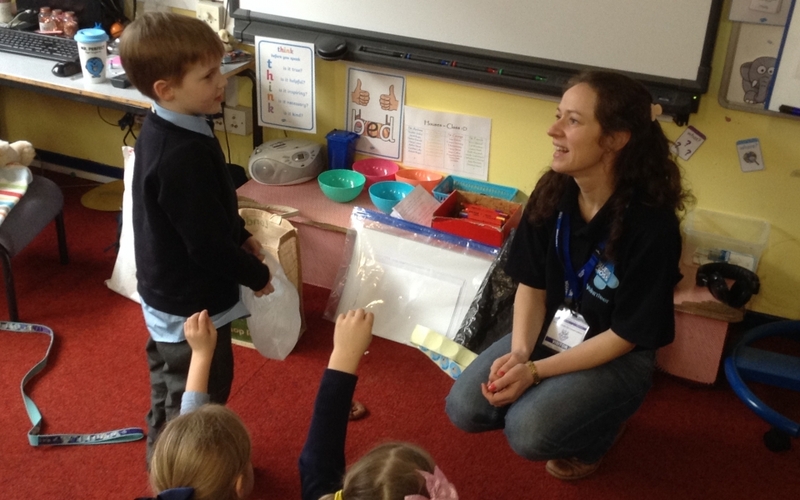 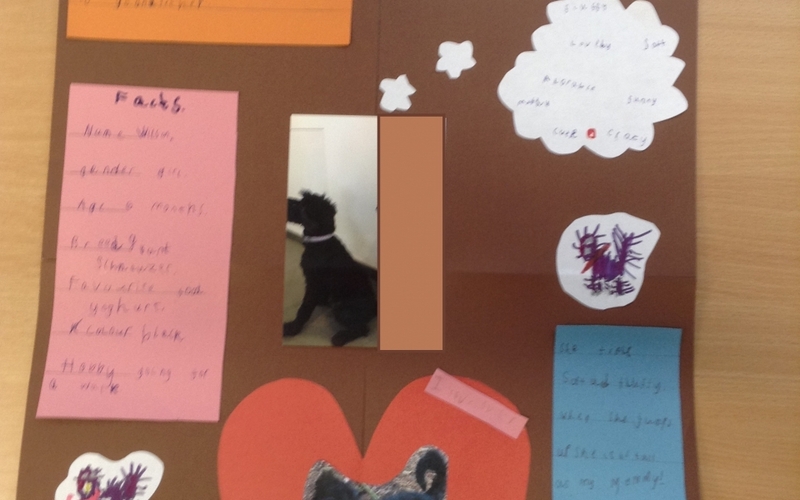 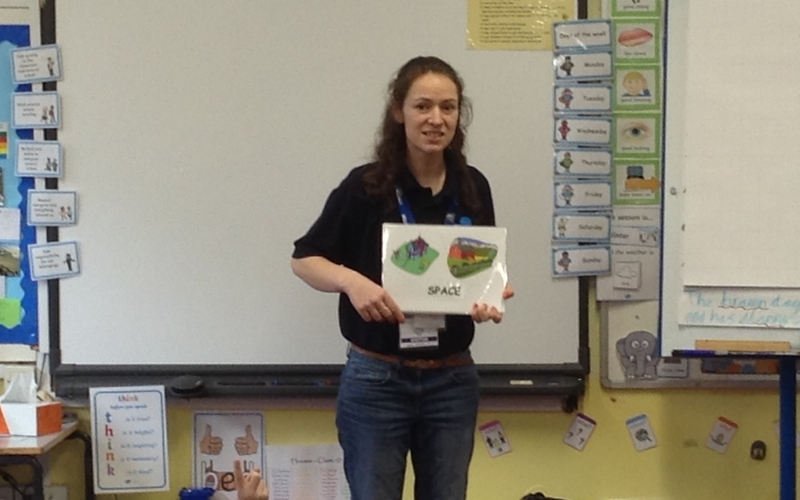 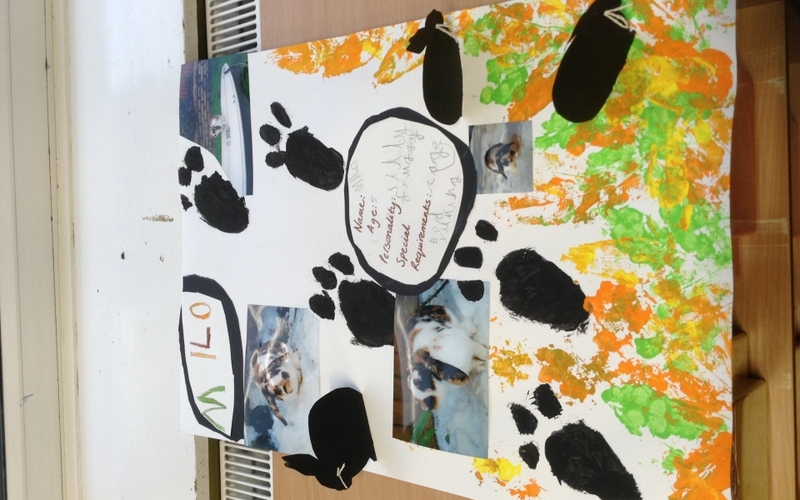 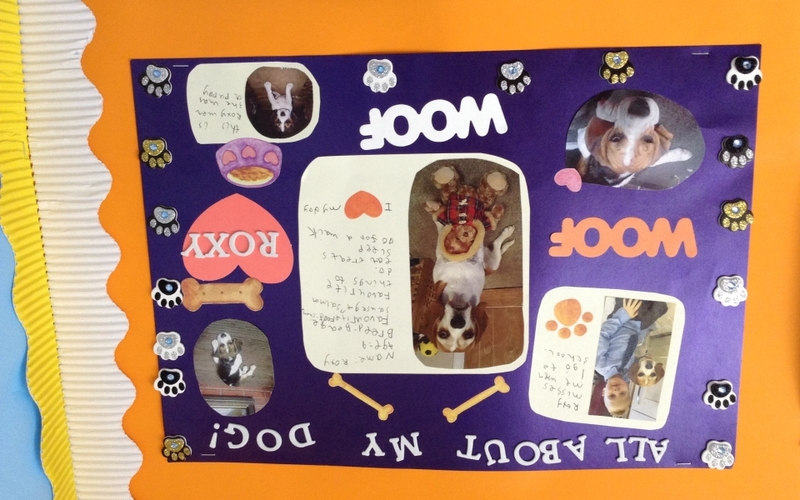 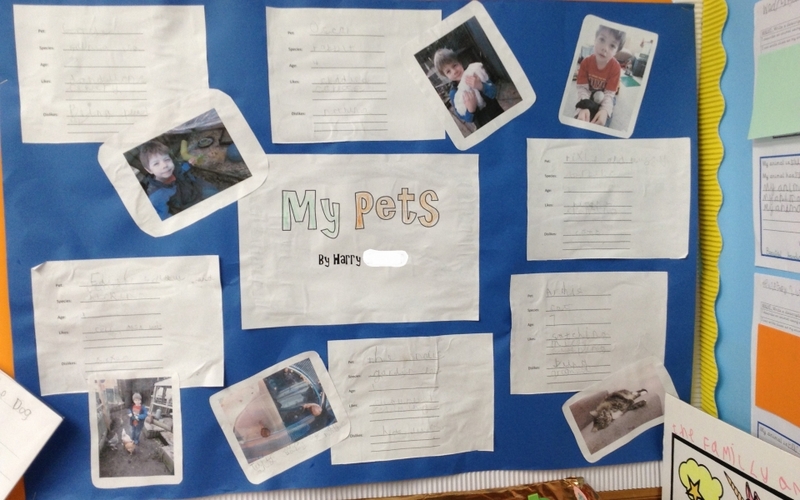 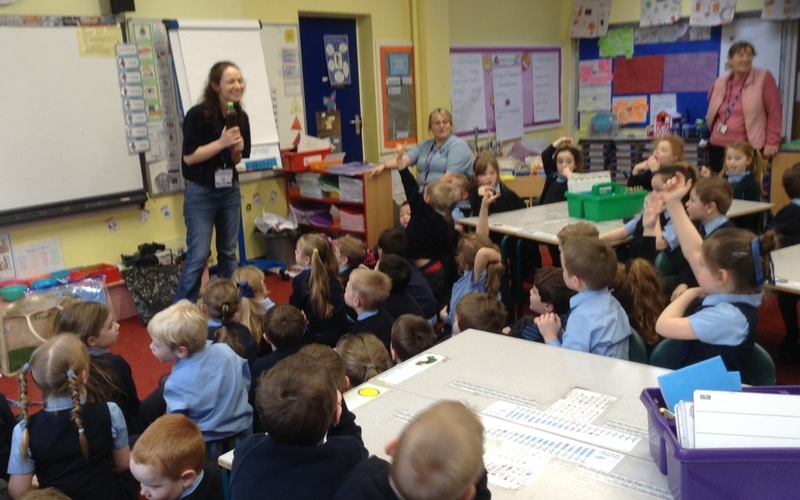 She provided us with lots of information about caring for animals and dog safety including how to recognise if a dog is safe or not, recognising the signs of how a dog is feeling and knowing when it is safe to approach a dog. 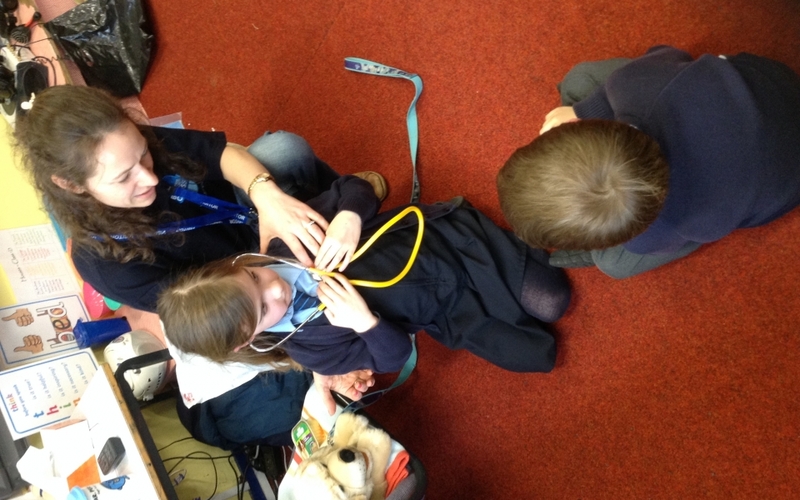 Kelly from The Blue Cross said, “animals need more than just a home to be properly cared for and we have to make sure we can give them a lot of time and love”. 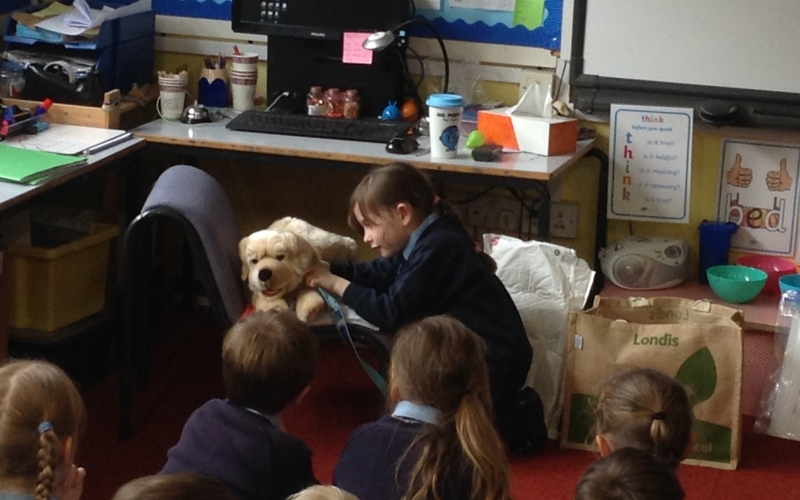 We learnt some important lessons on how to react when a dog approaches you, times when it is unsafe to stroke a dog and most importantly to never approach a dog if it is on its own. 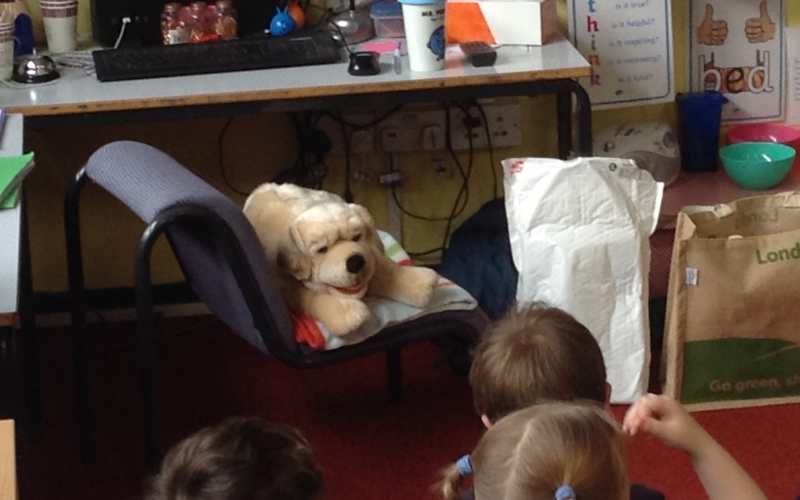 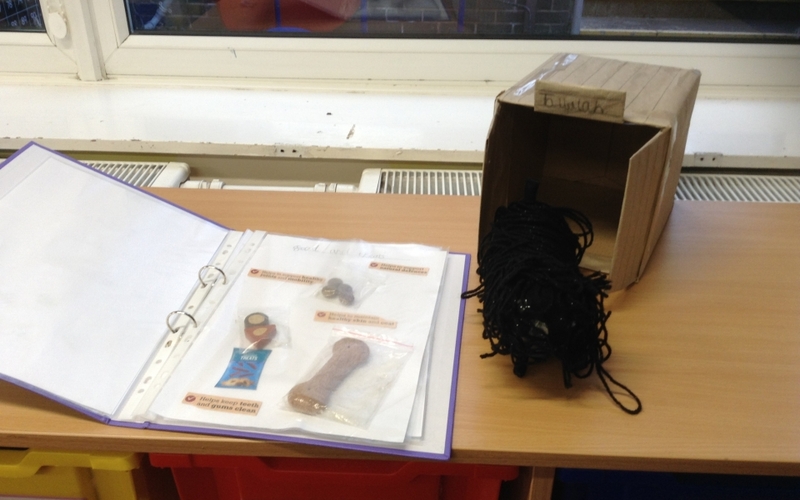 As well as learning how to be safe around dogs we also learnt how to keep dogs safe. 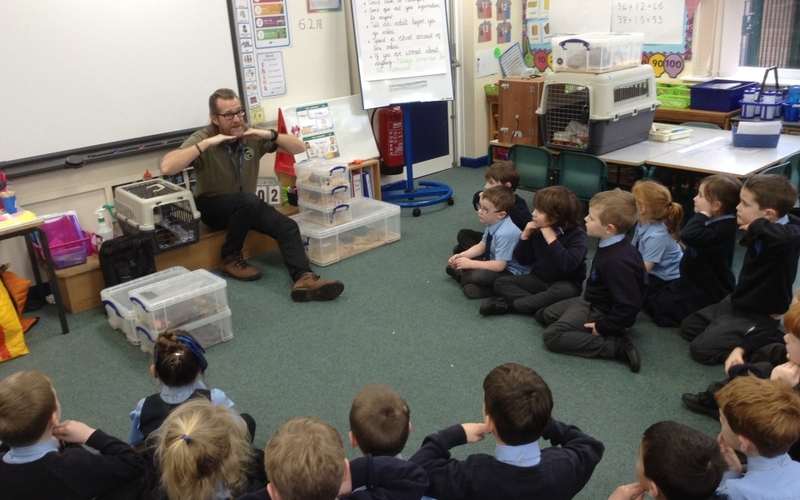 This included what to feed them and how to care for them.